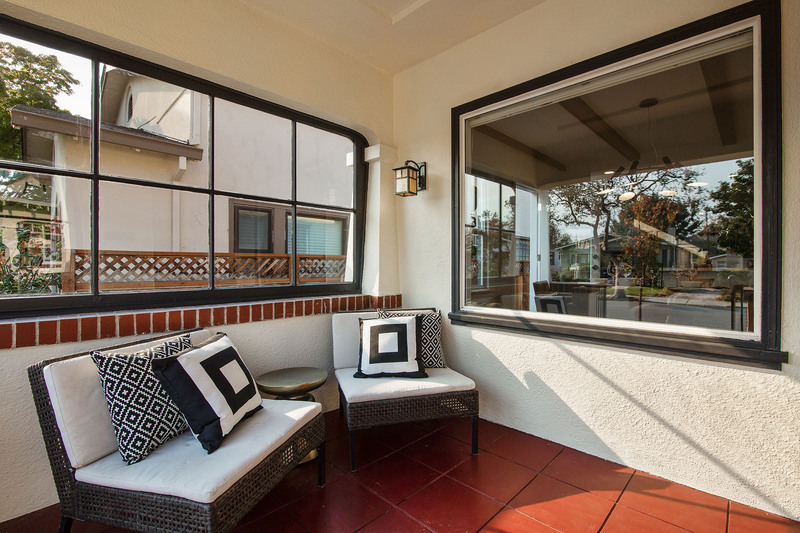 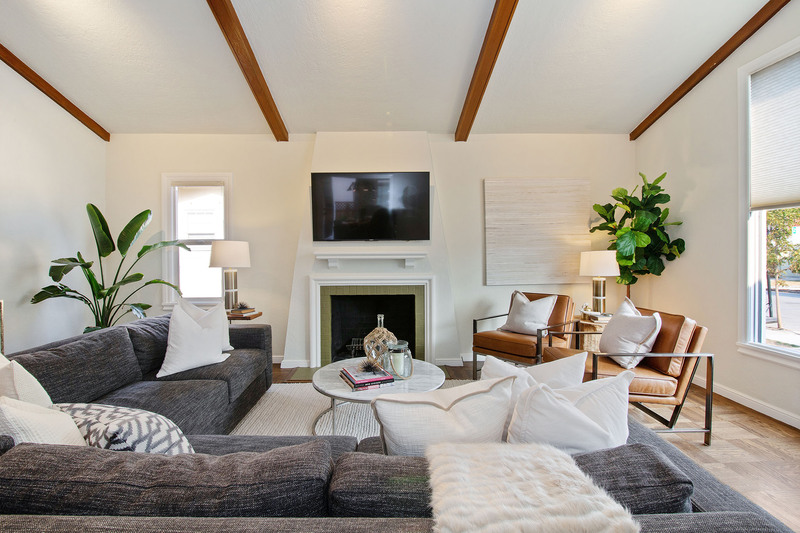 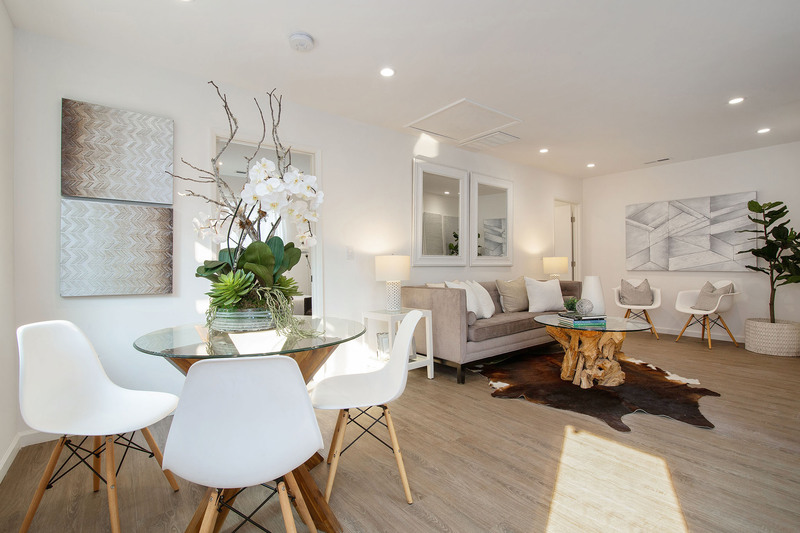 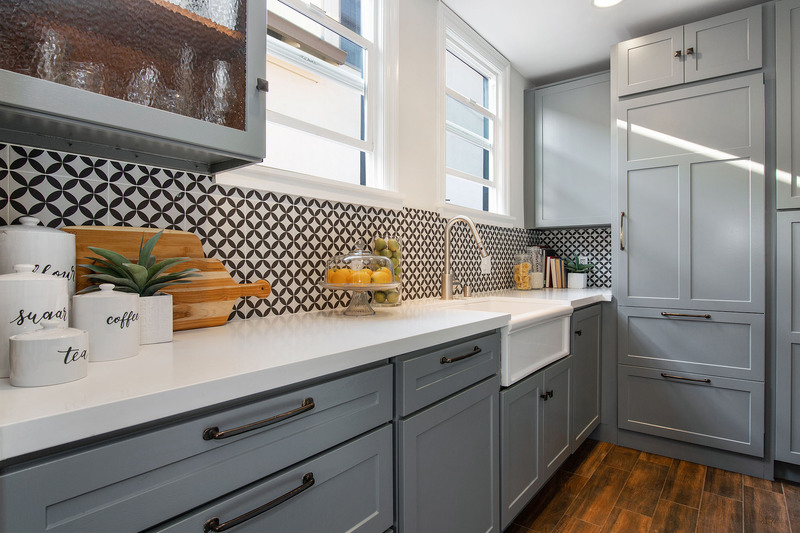 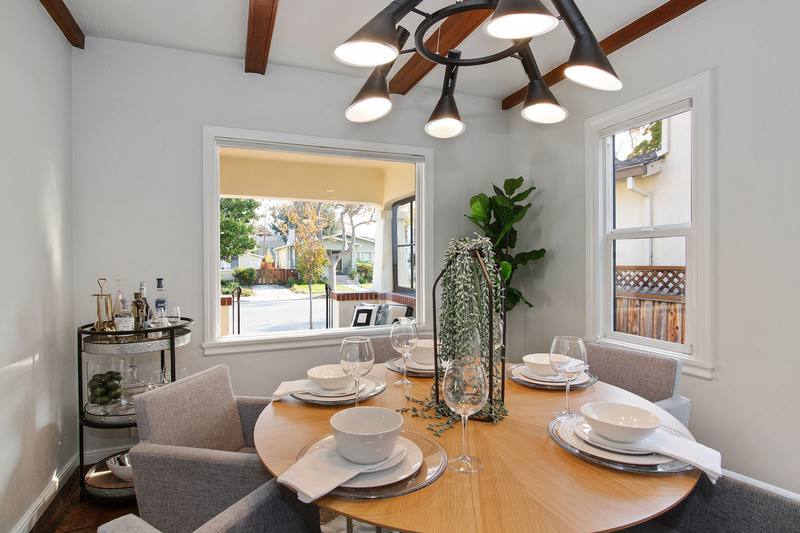 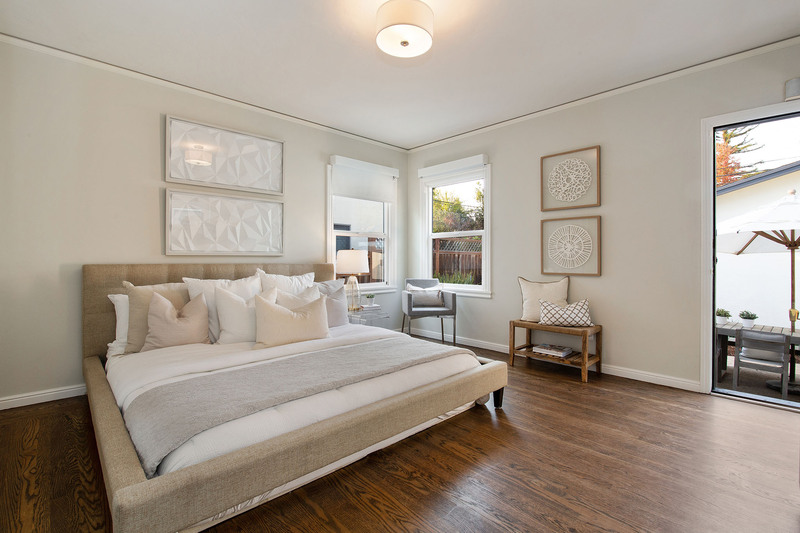 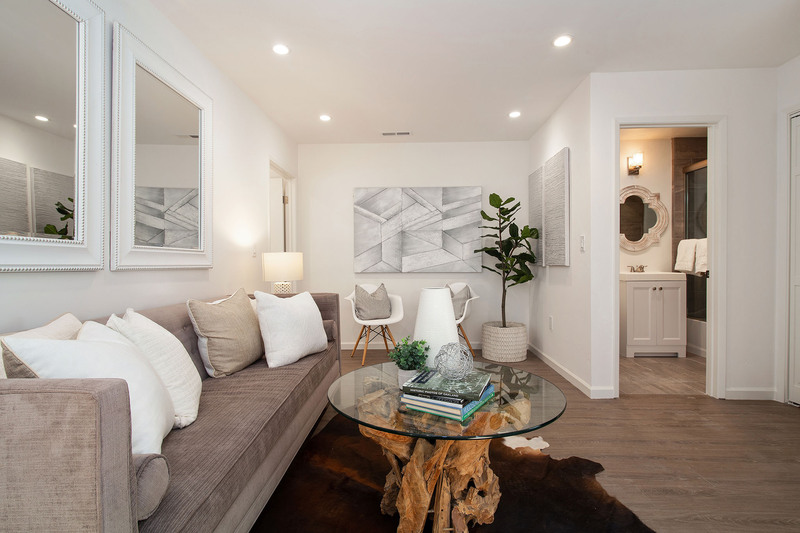 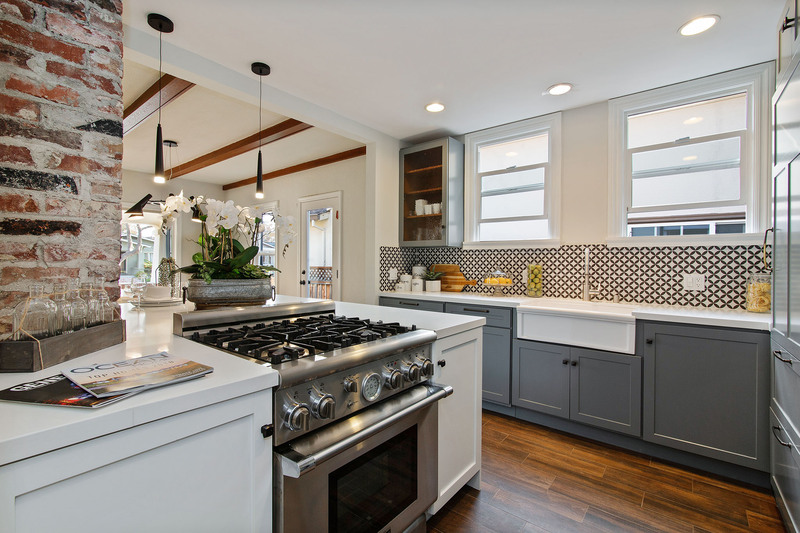 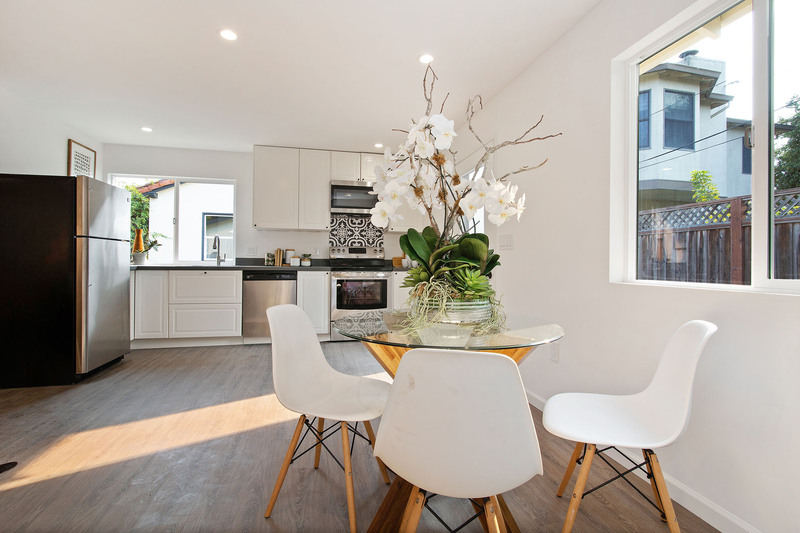 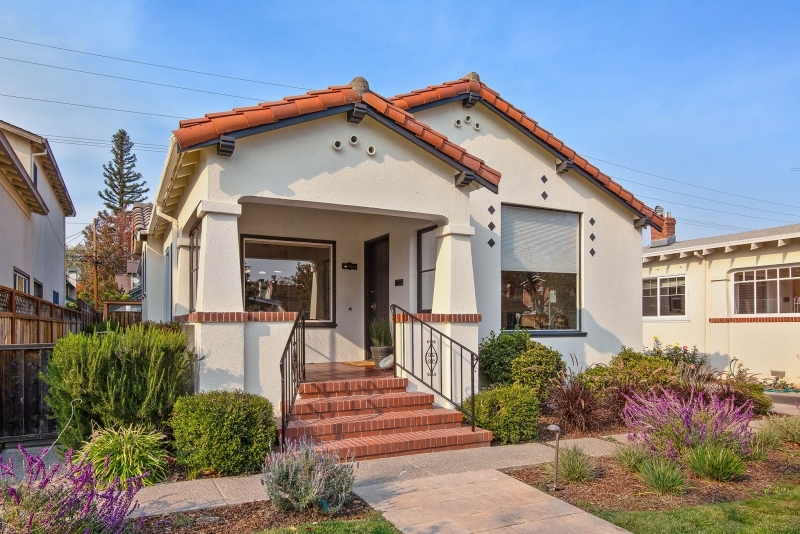 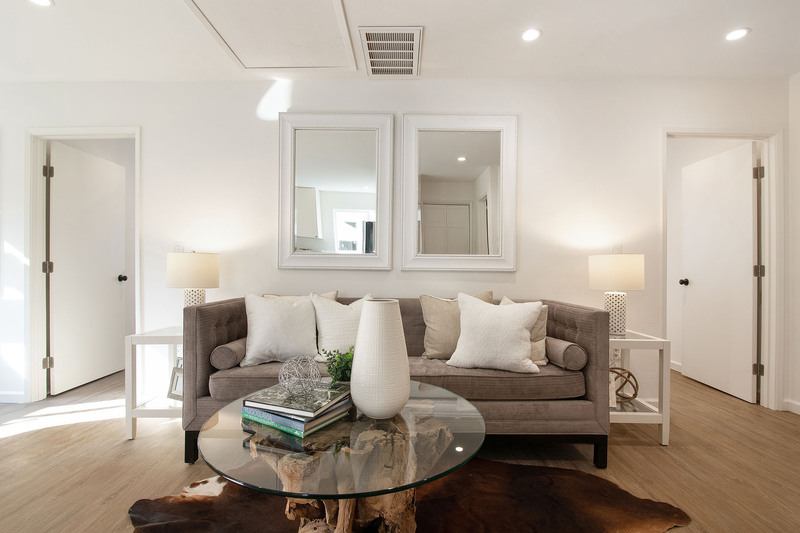 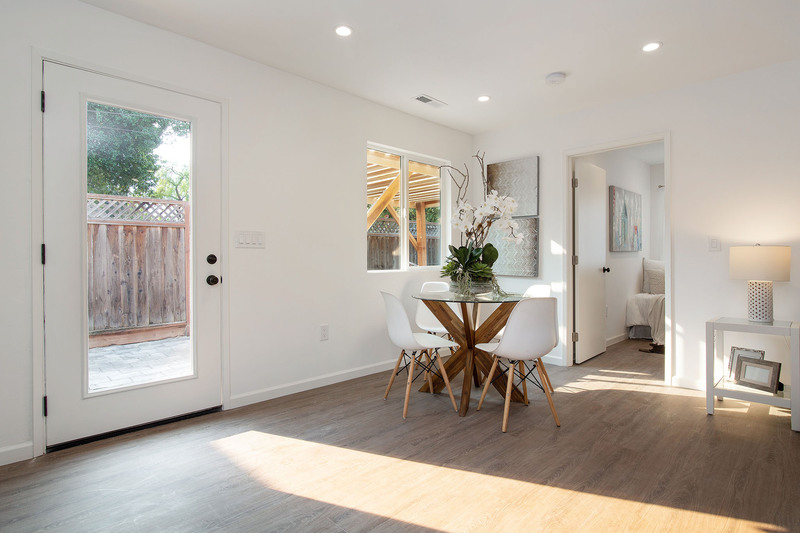 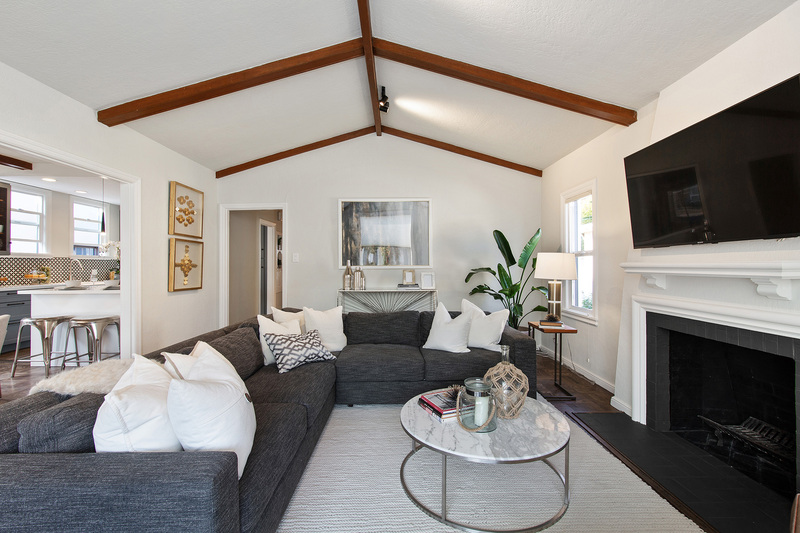 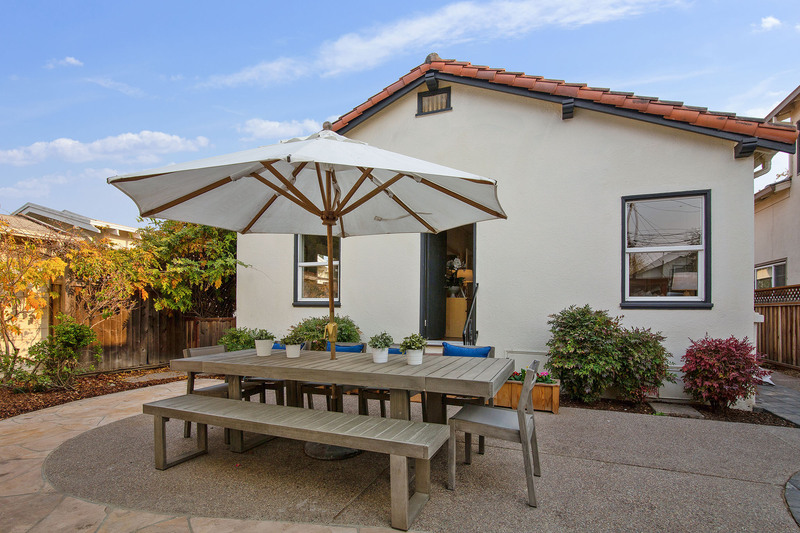 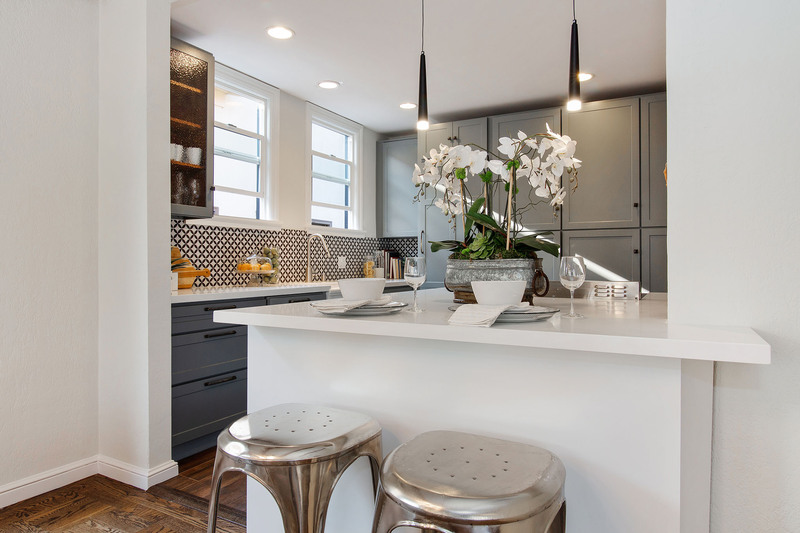 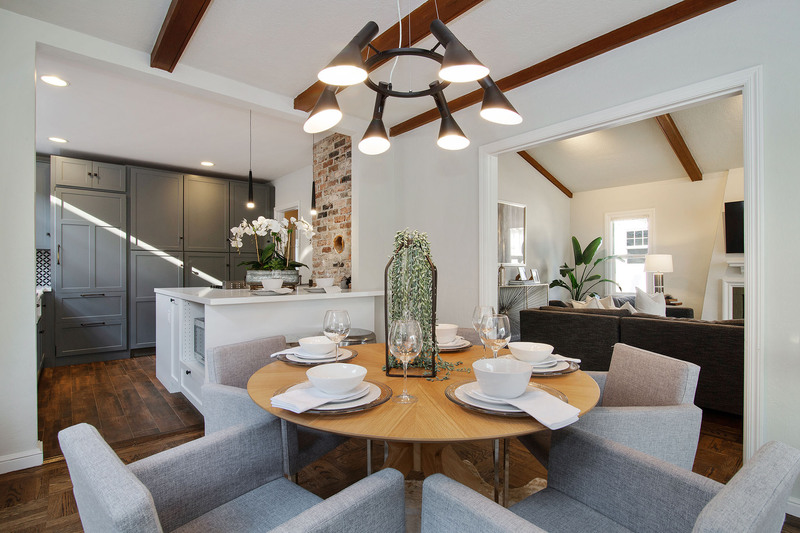 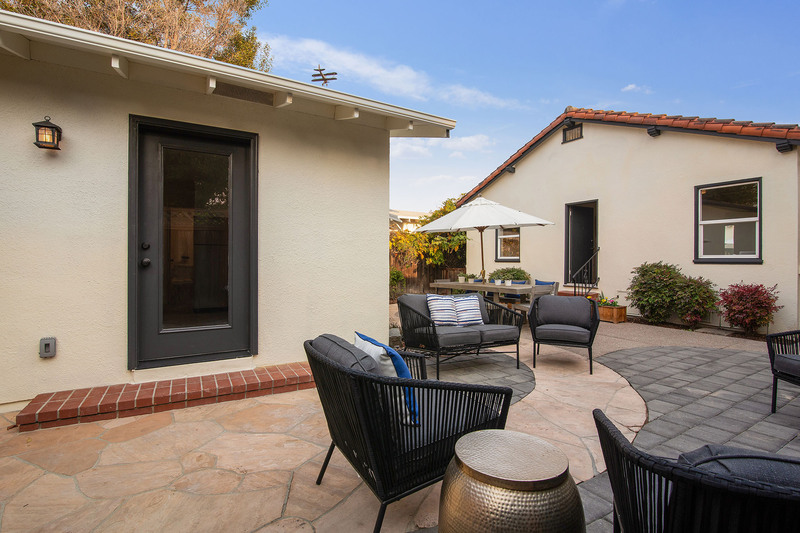 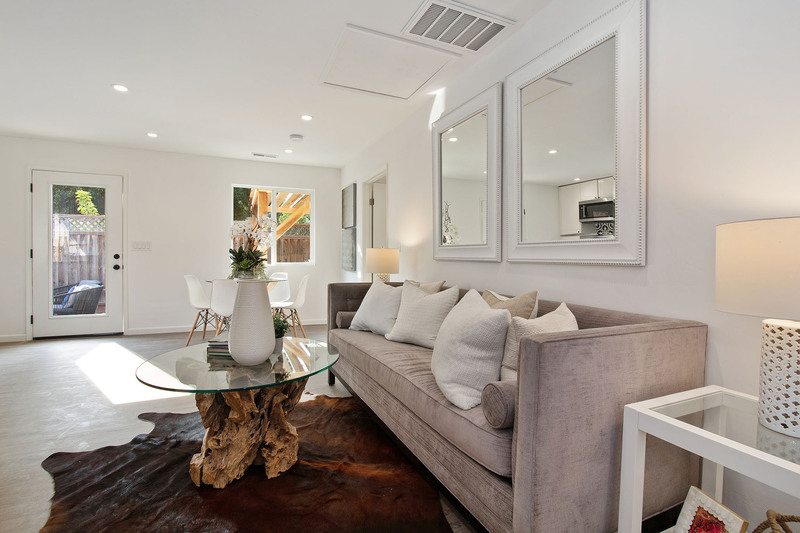 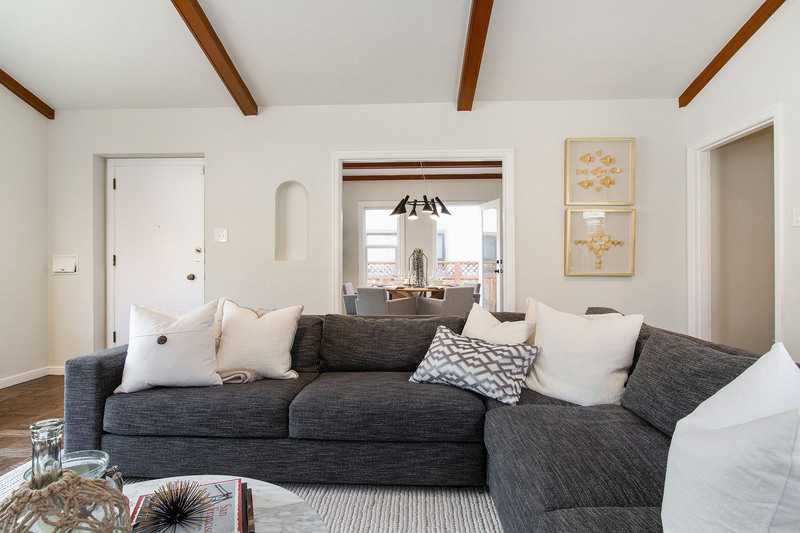 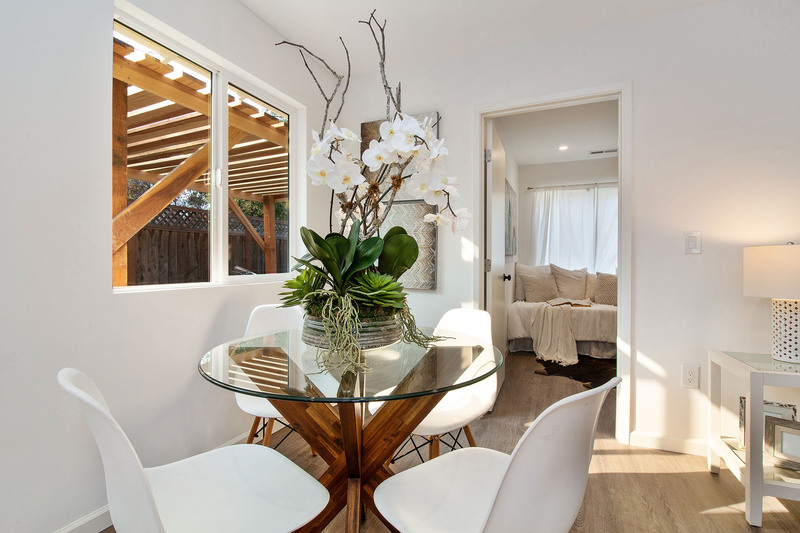 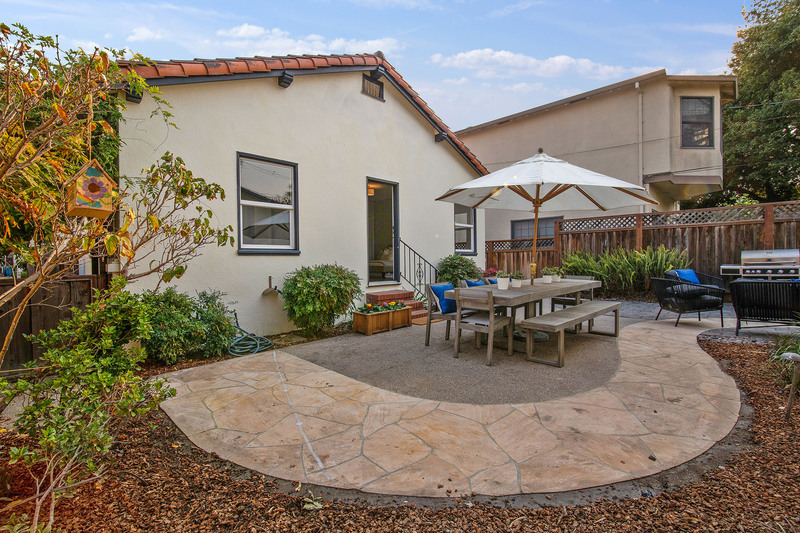 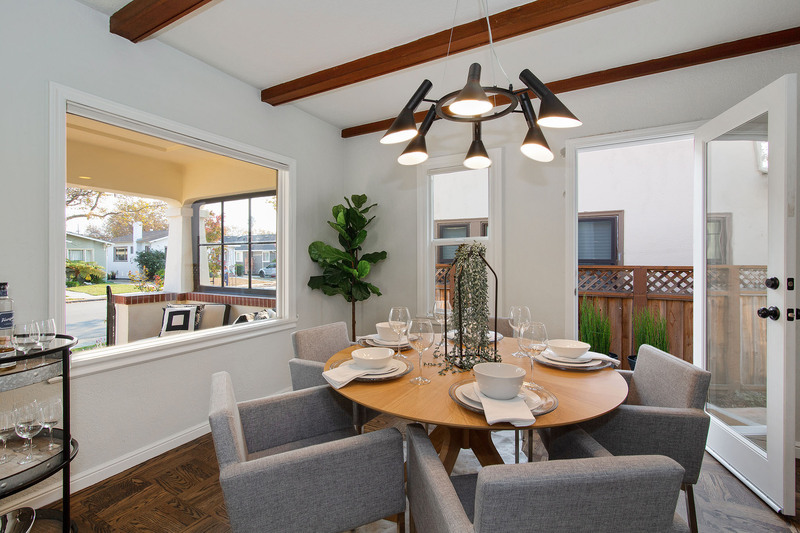 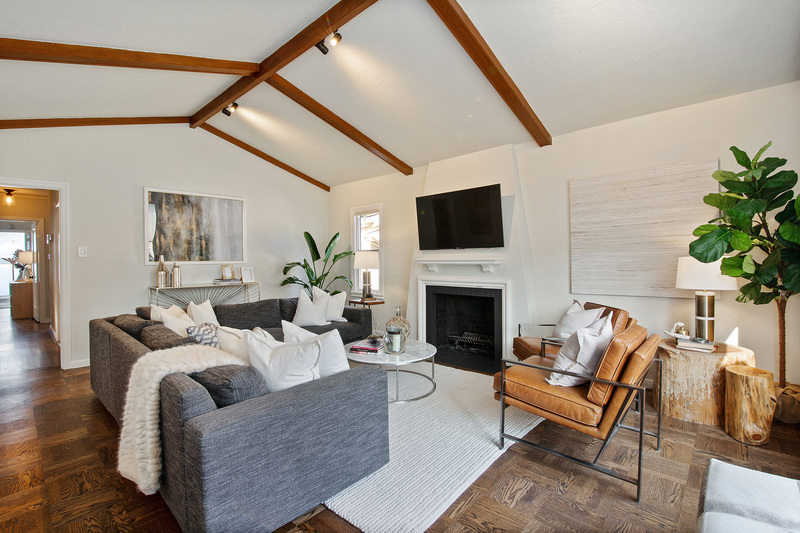 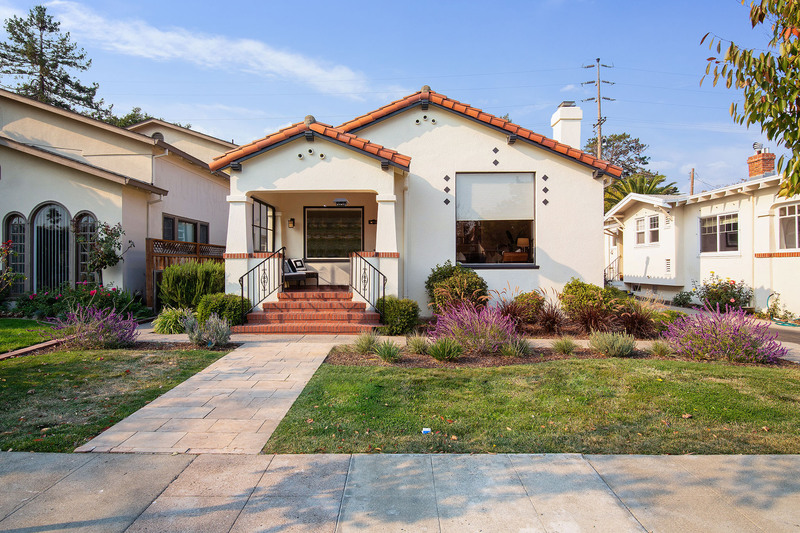 Welcome to this beautifully remodeled modern storybook Craftsman in Hayward Park, featuring a newly permitted two bedroom one bath additional unit! Step through the door and into the beautiful living room with high vaulted ceilings bathed in light from the large picture window. 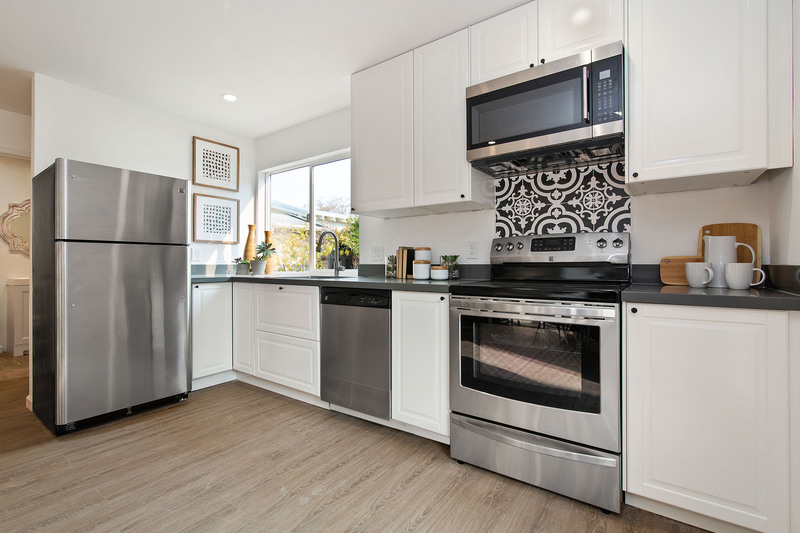 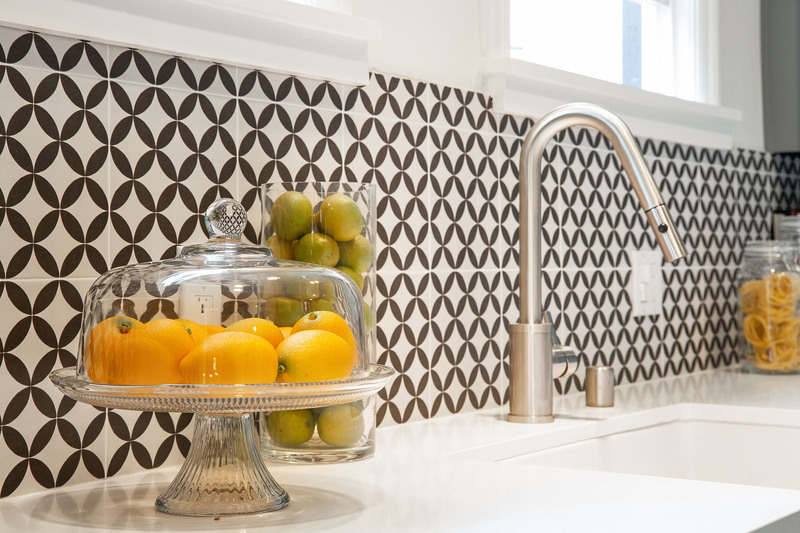 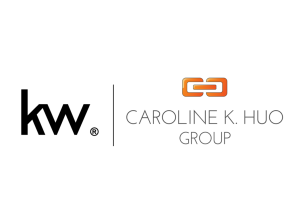 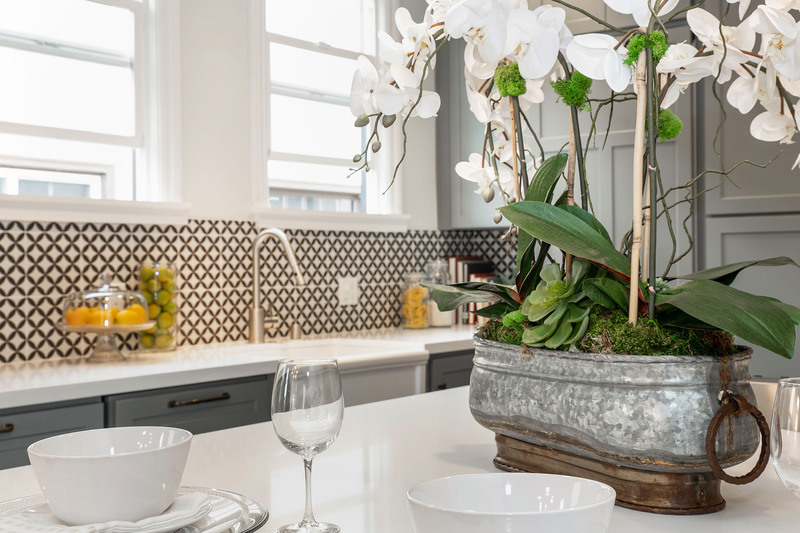 To the left, an intimate dining room flows into the newly remodeled kitchen with gorgeous tile backsplash, custom cabinetry, gleaming countertops, plenty of storage, countertop seating, and custom paneled Thermador Sub-zero Refrigerator, dishwasher, and six burner gas range. 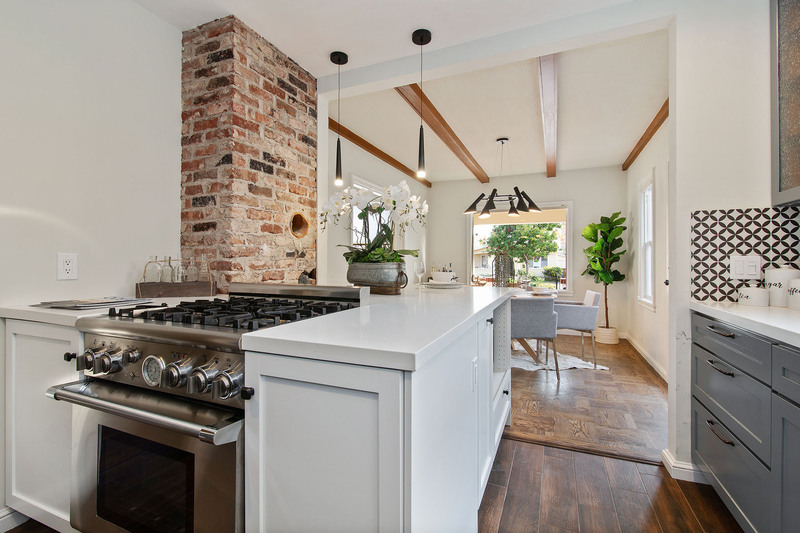 The exposed original brick adds such character and rustic charm to this delightful space! 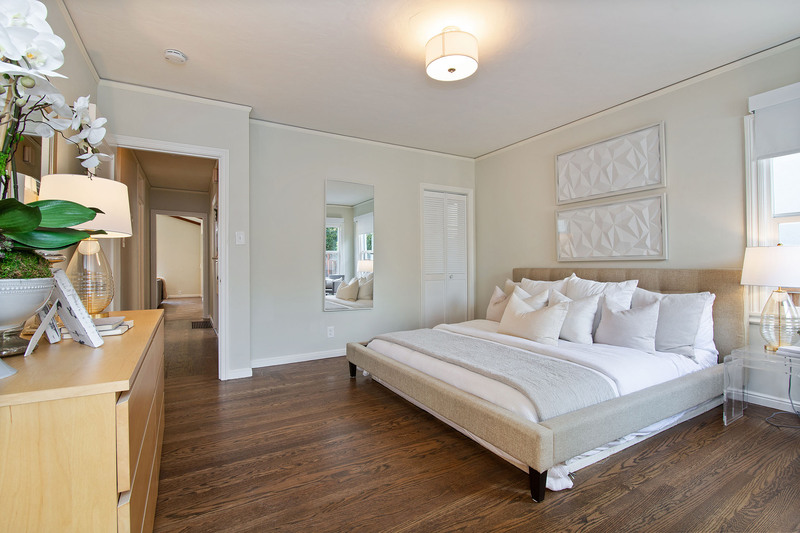 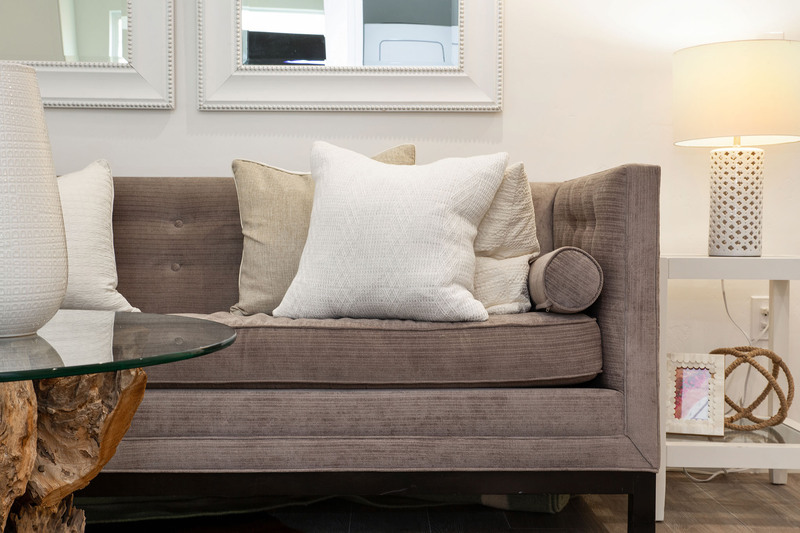 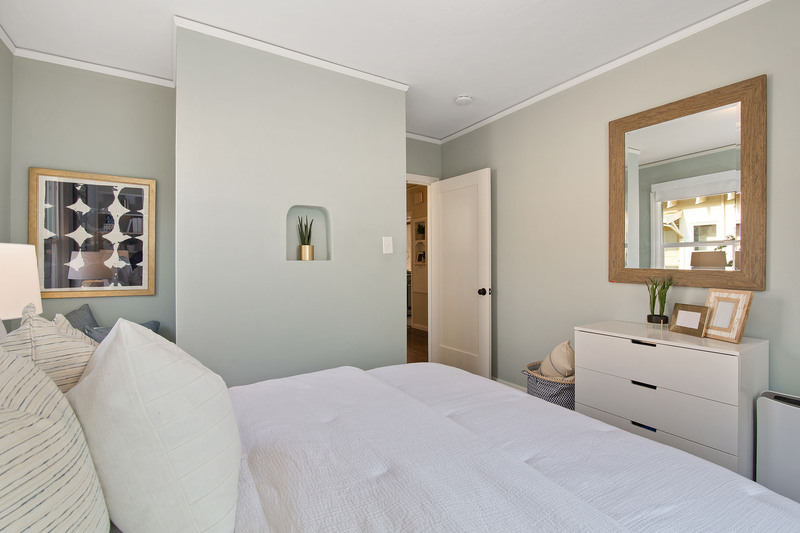 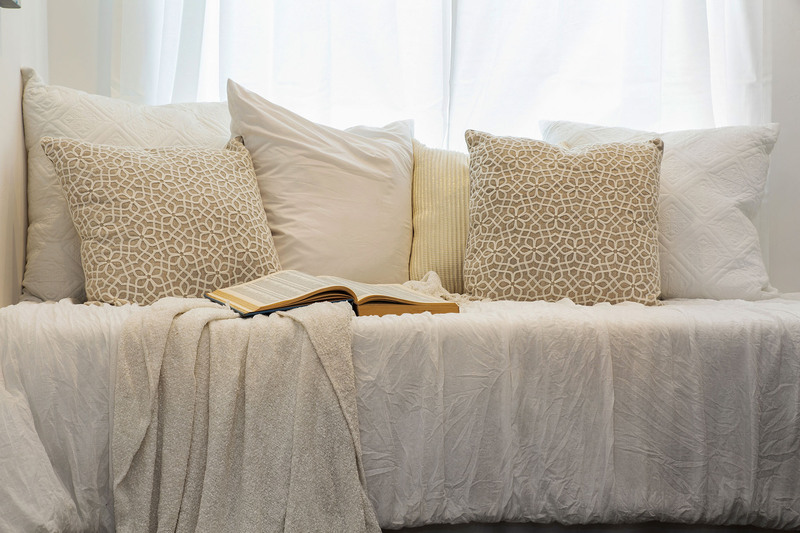 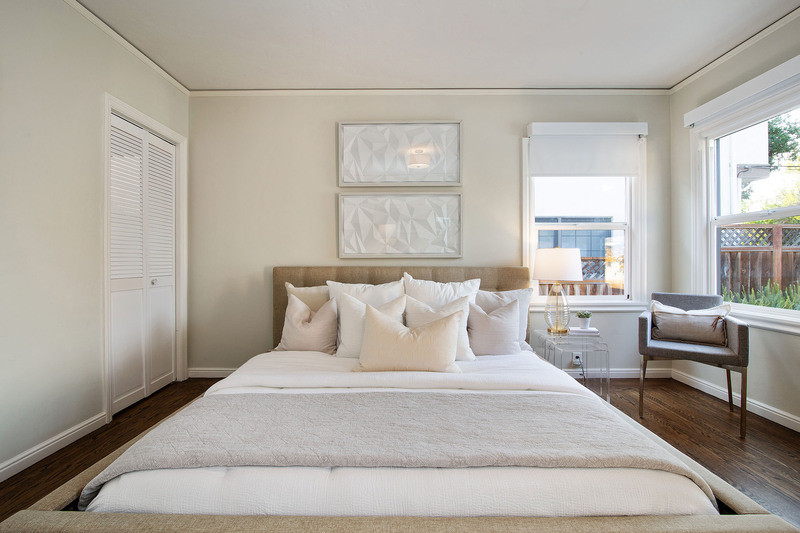 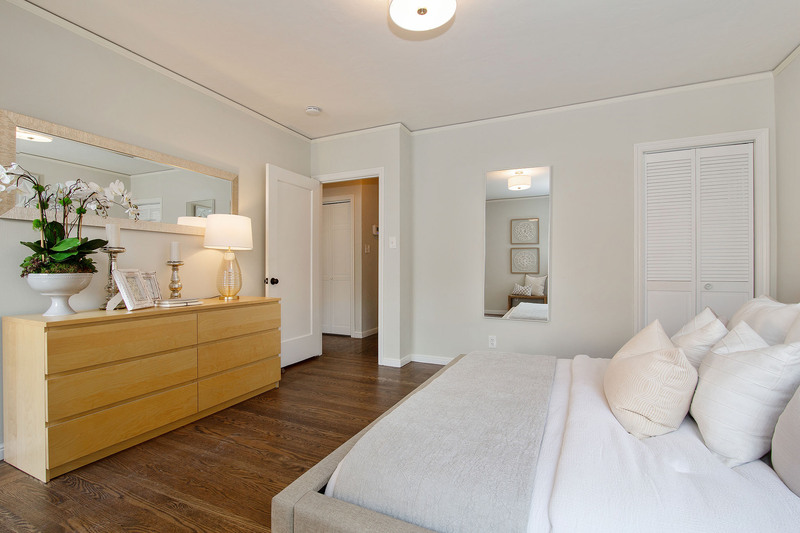 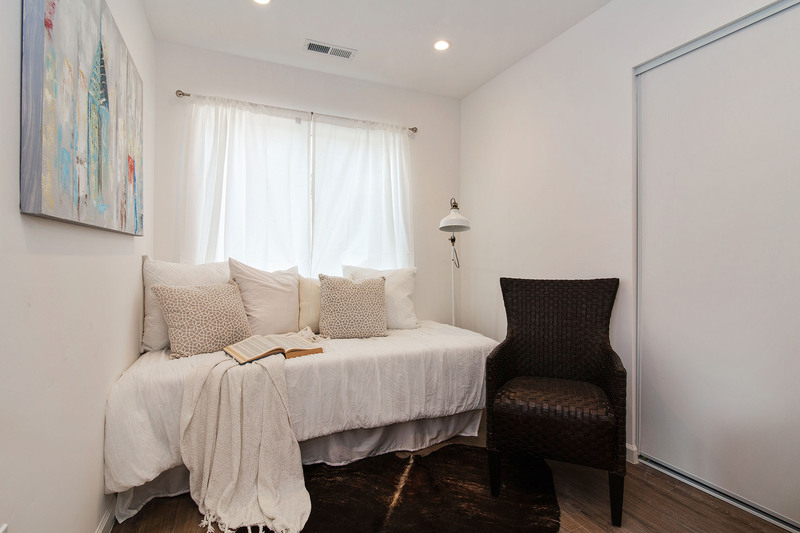 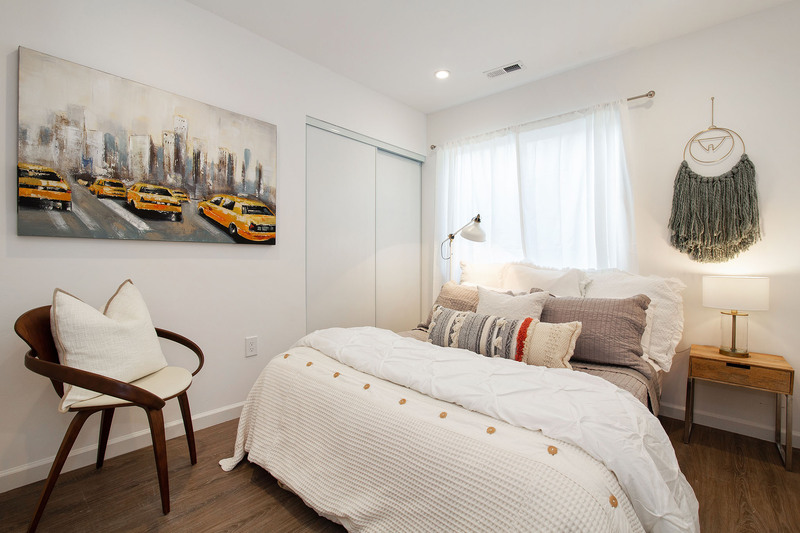 The master bedroom offers a generous walk-in closet and access to the backyard. 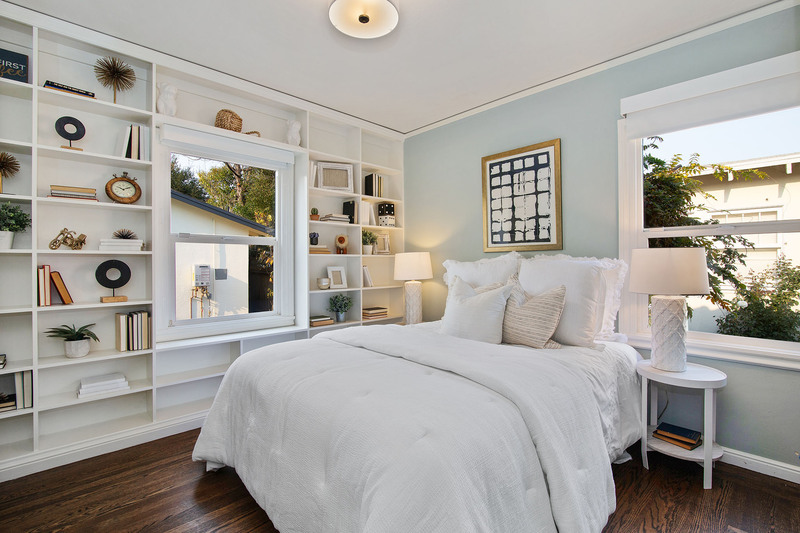 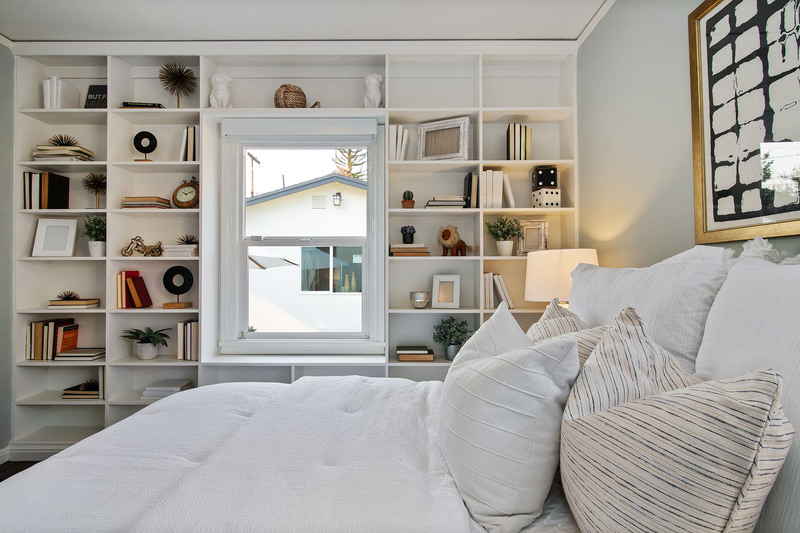 The second bedroom features a wall of built-ins and plenty of light. 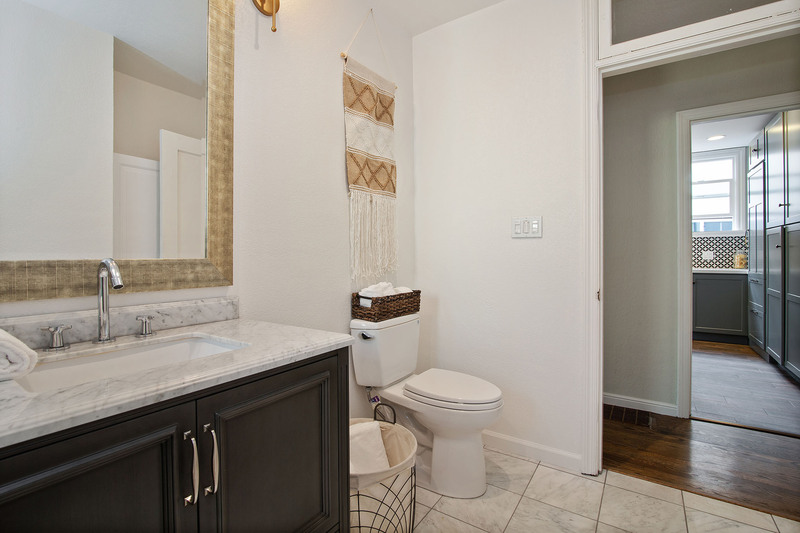 The two newly remodeled bathrooms are generous in size and sophisticated in detail. 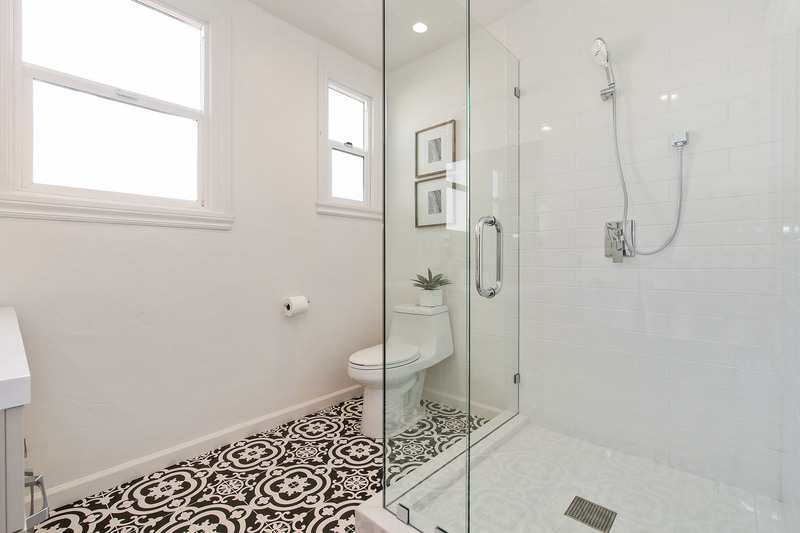 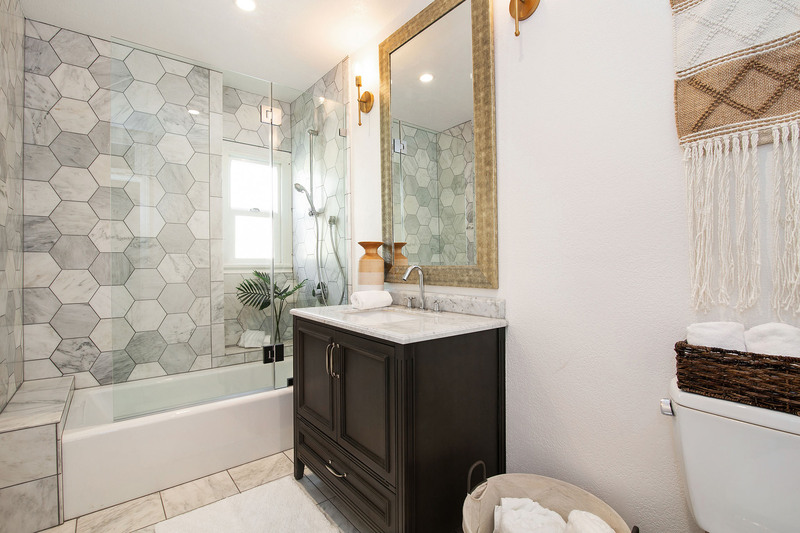 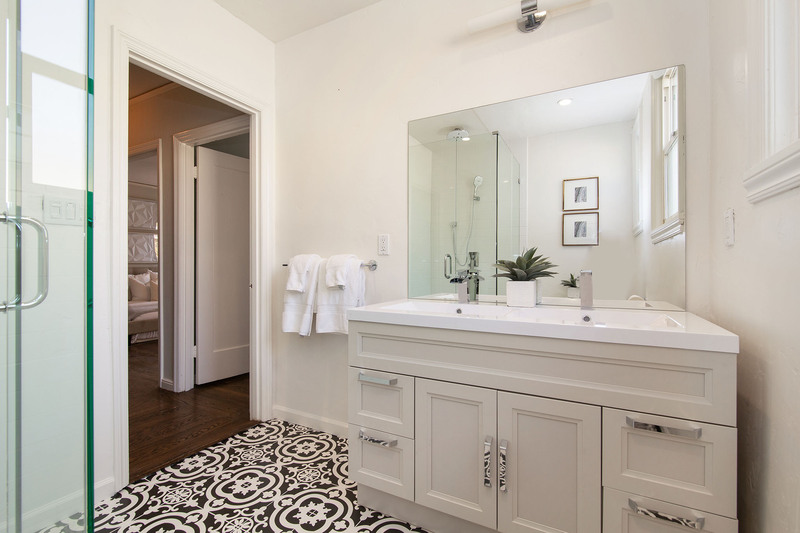 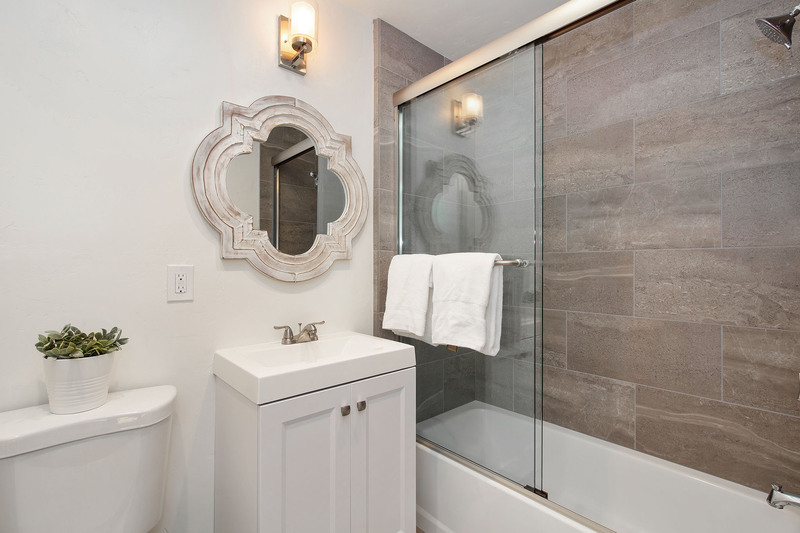 The first bath showcases stunning tile flooring and a beautiful glass shower. 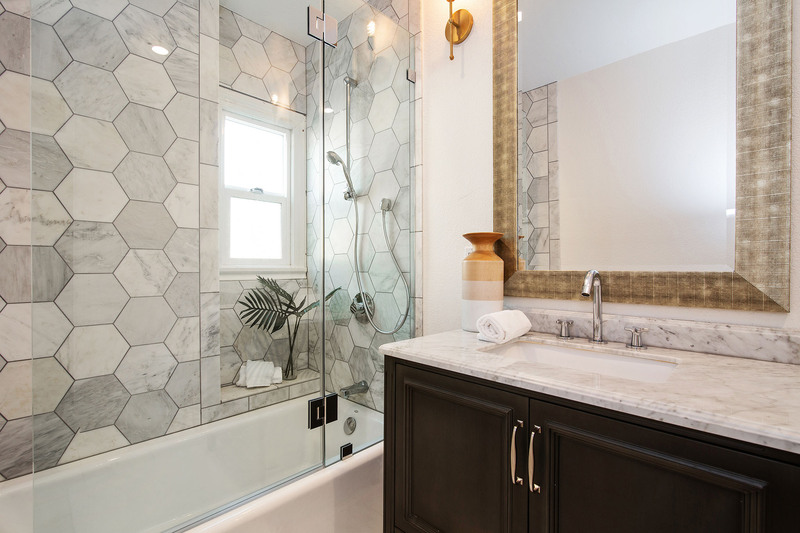 The second hall bath features elegant marble honeycomb tile surrounding the bath, and elegant sconces. 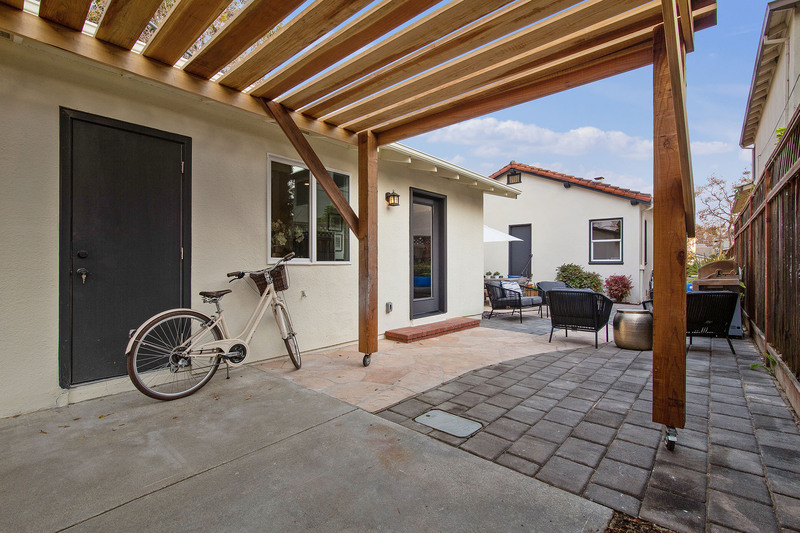 The new accessory dwelling unit makes for such a wonderful home as well! 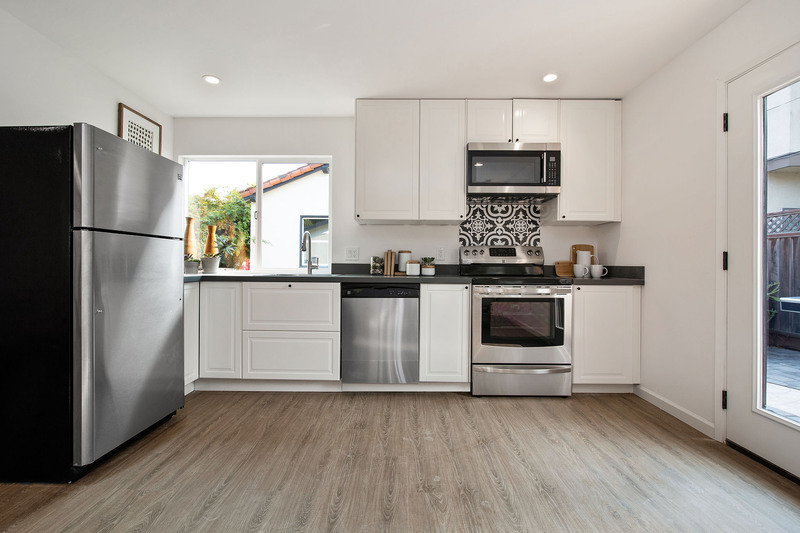 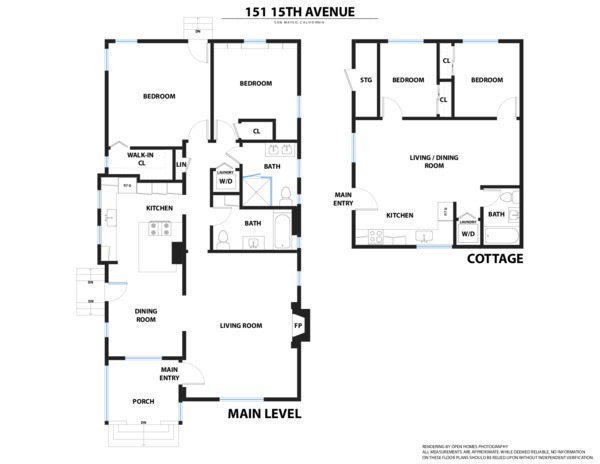 Featuring two bedrooms, one full bath, laundry, kitchen with new stainless steel appliances, beautiful flooring, and a fantastic open living space! 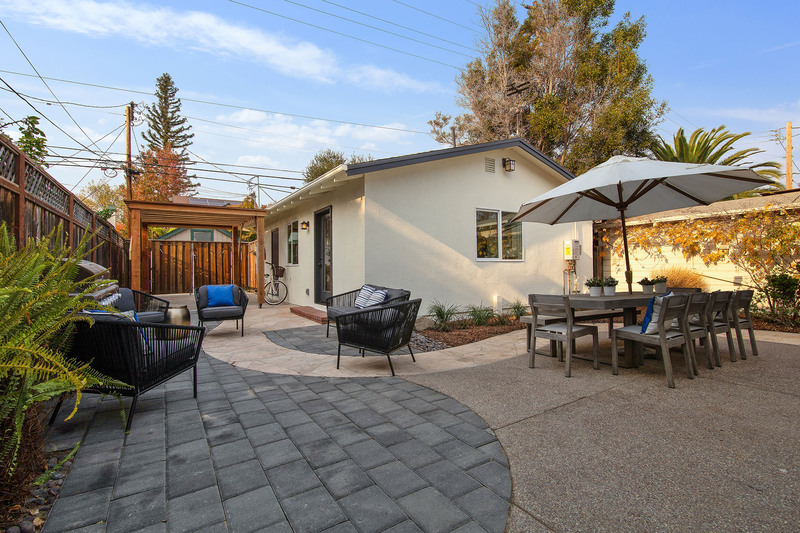 Lovely landscaping upgrades with partial new pavers and verdant plantings. 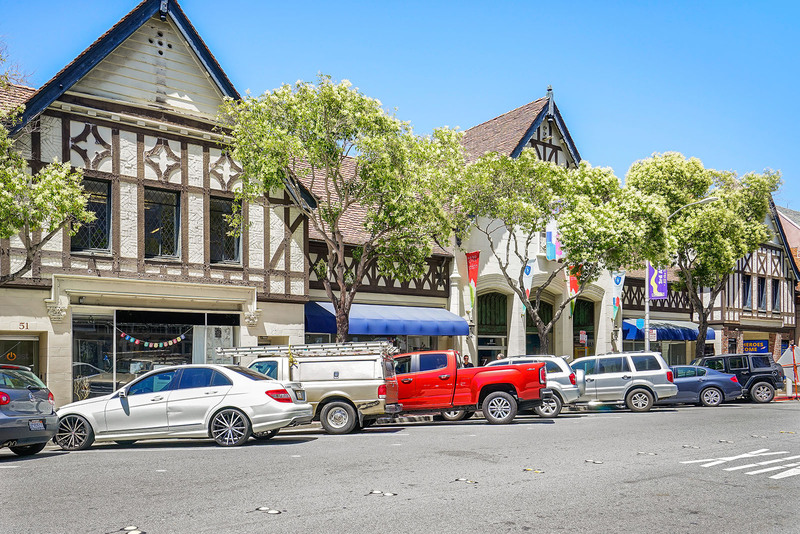 Plenty of parking on the street and on the property. 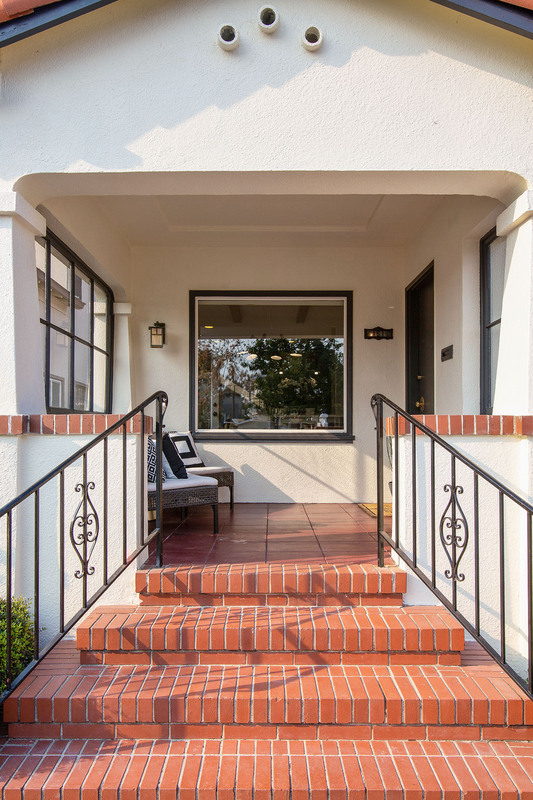 Come in, and welcome home! 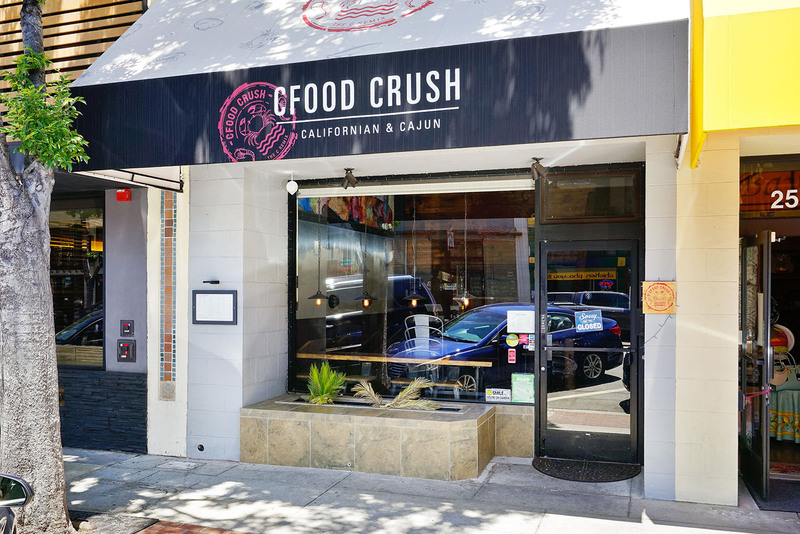 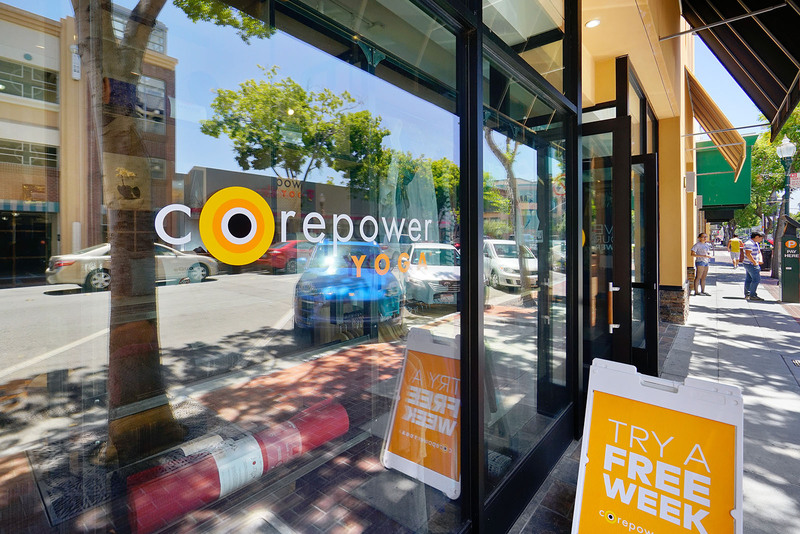 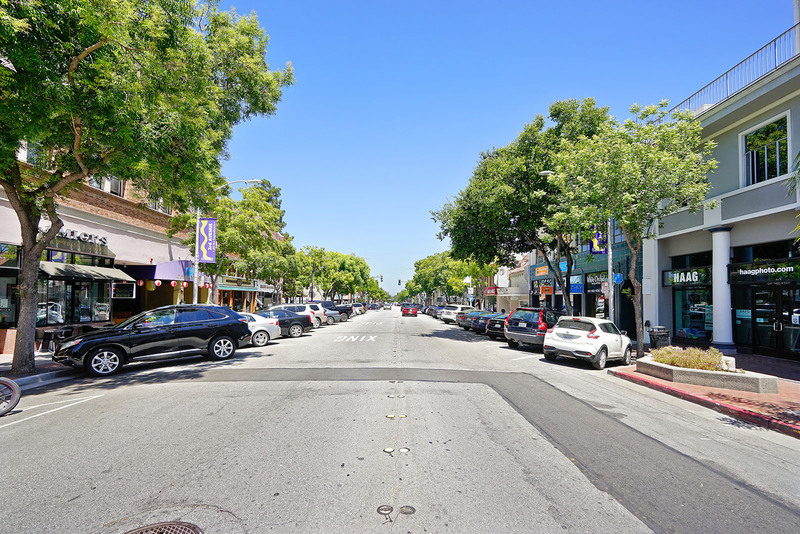 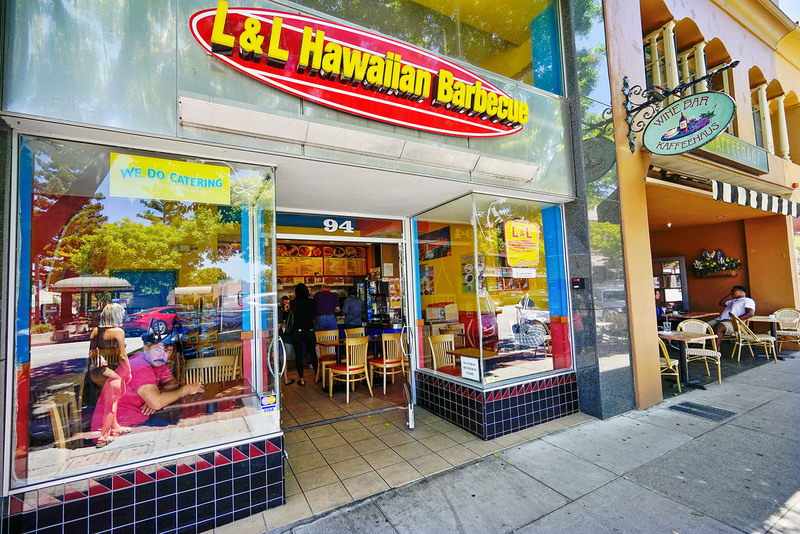 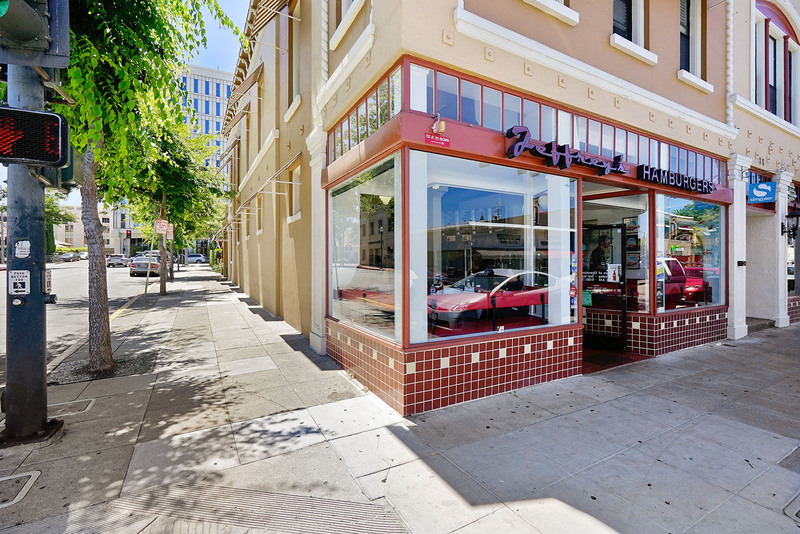 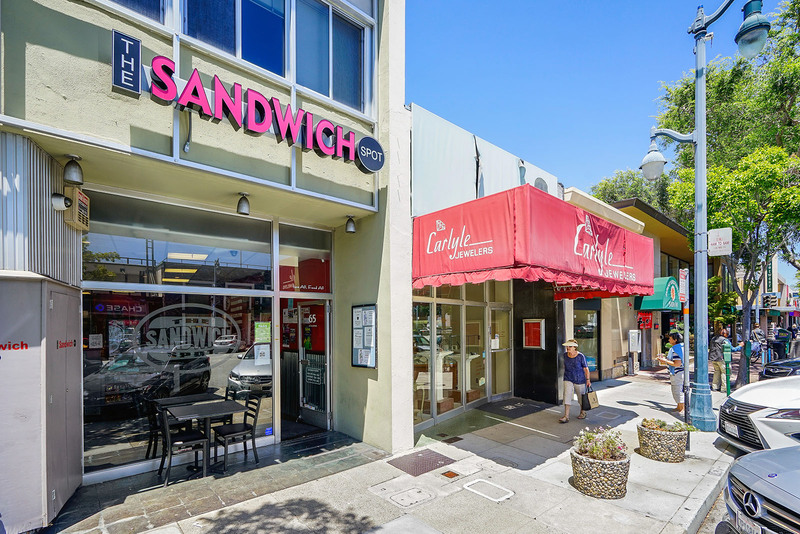 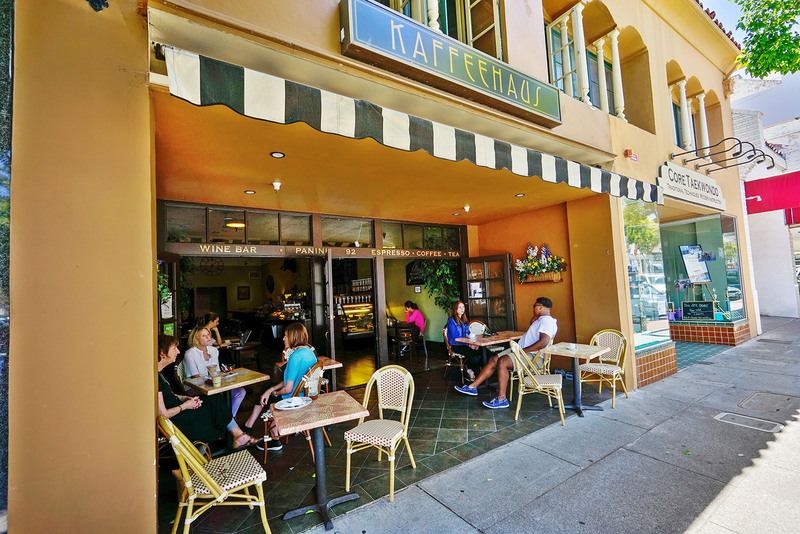 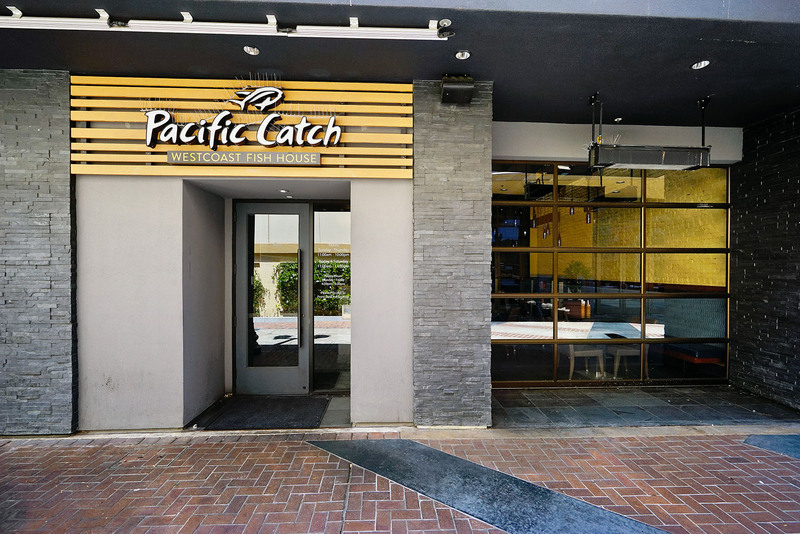 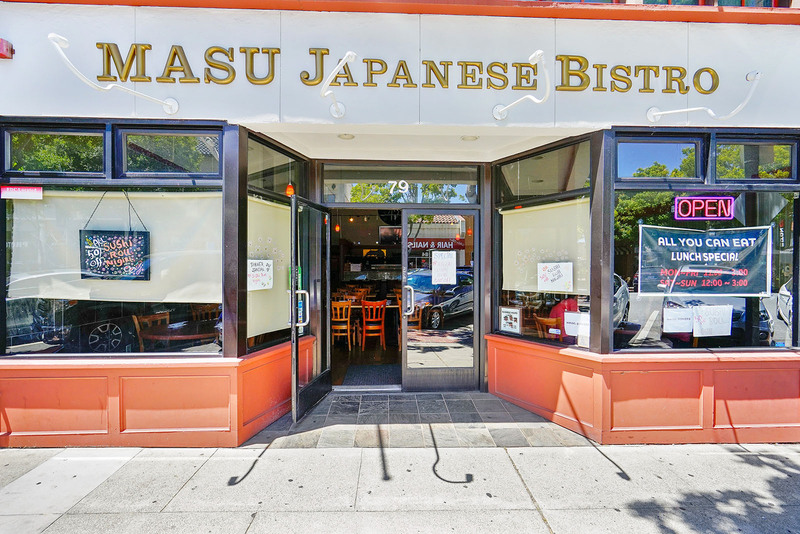 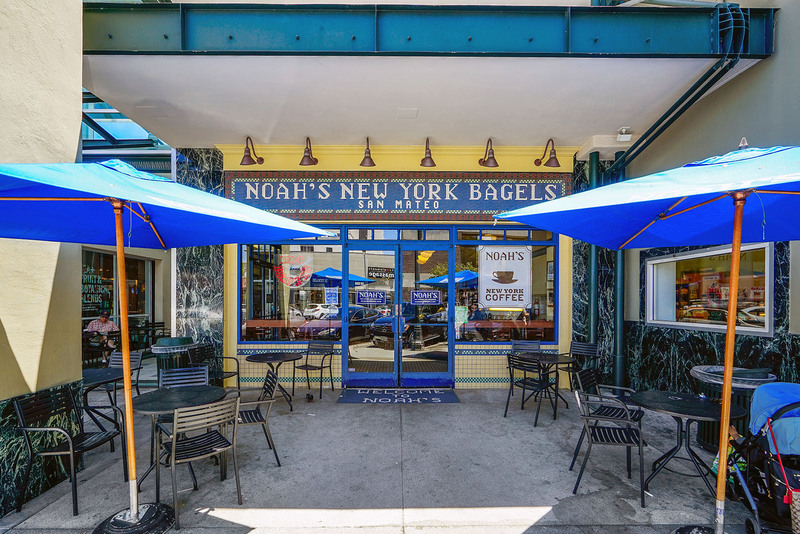 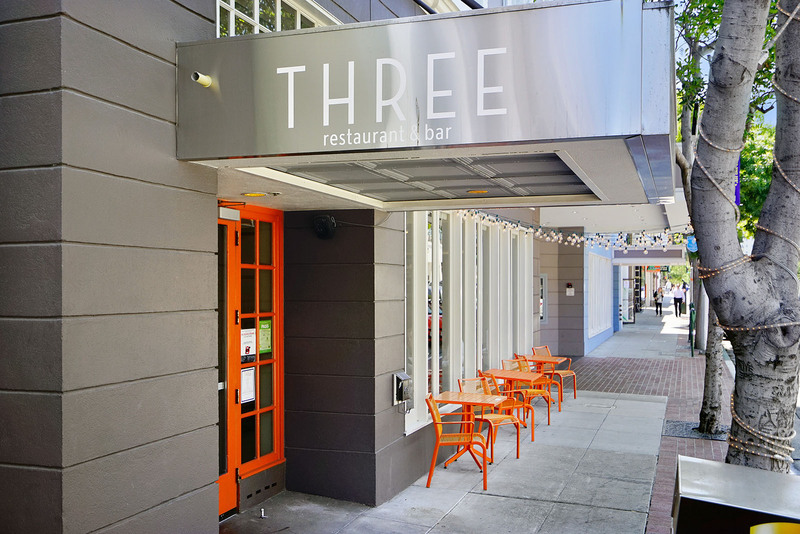 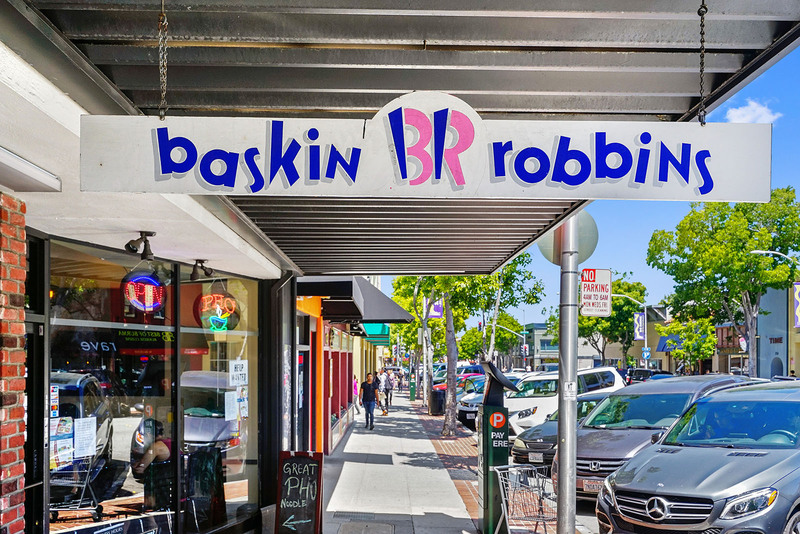 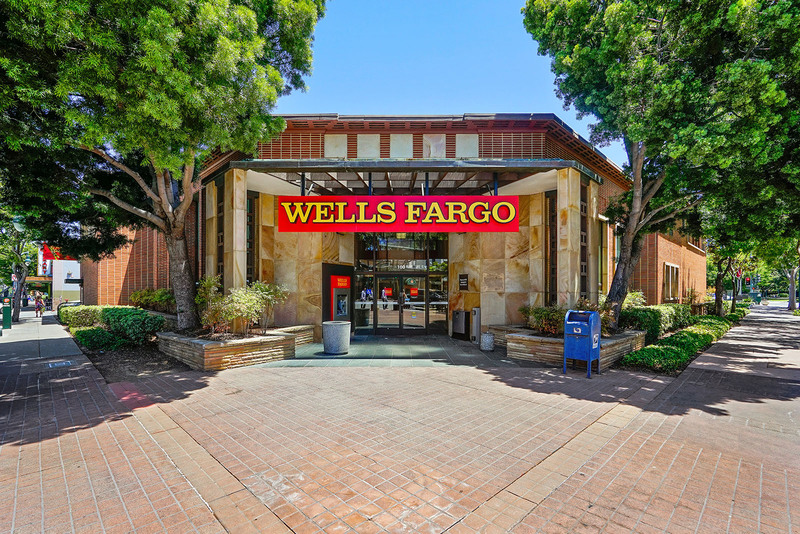 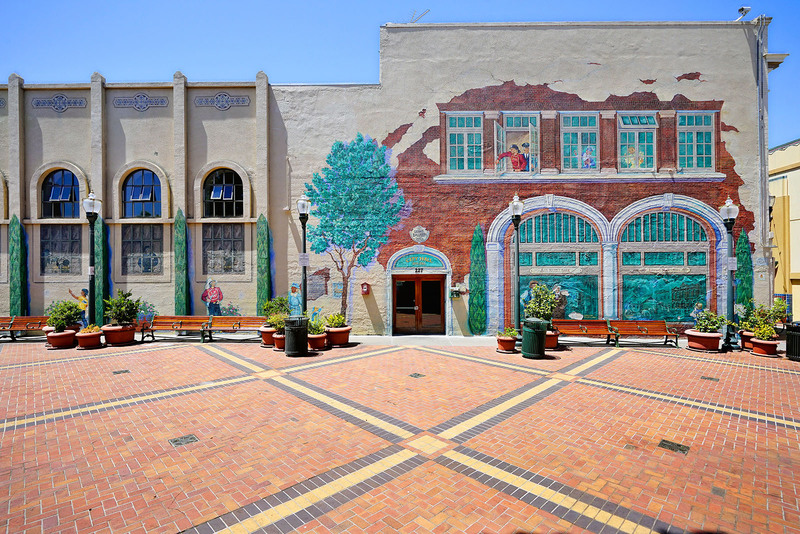 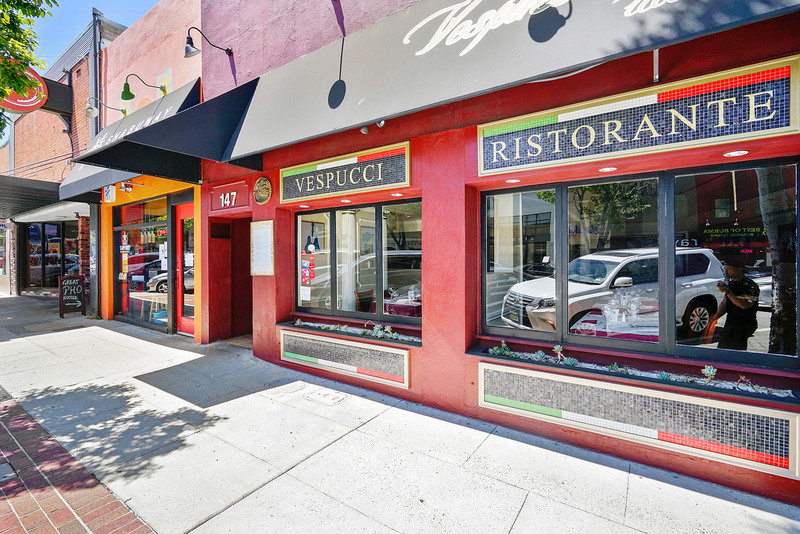 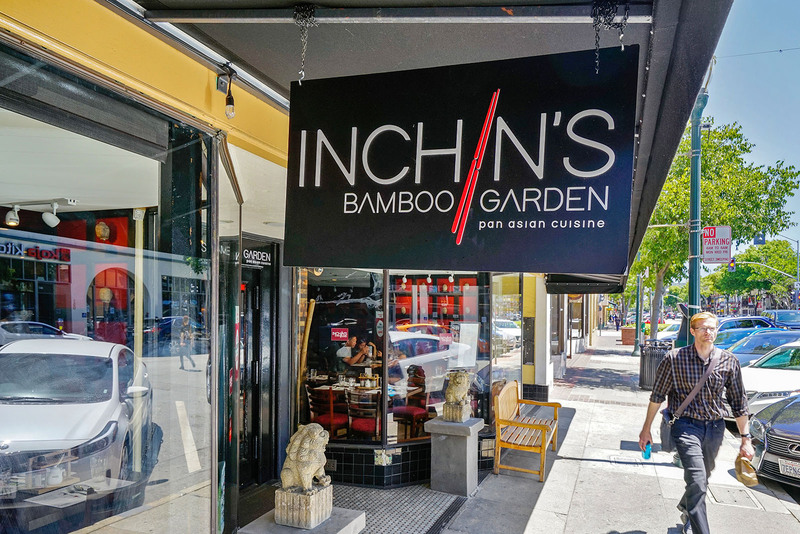 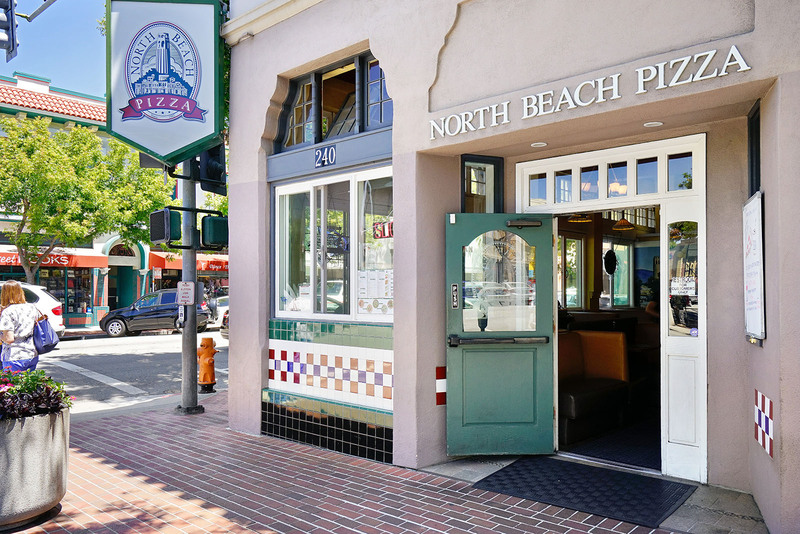 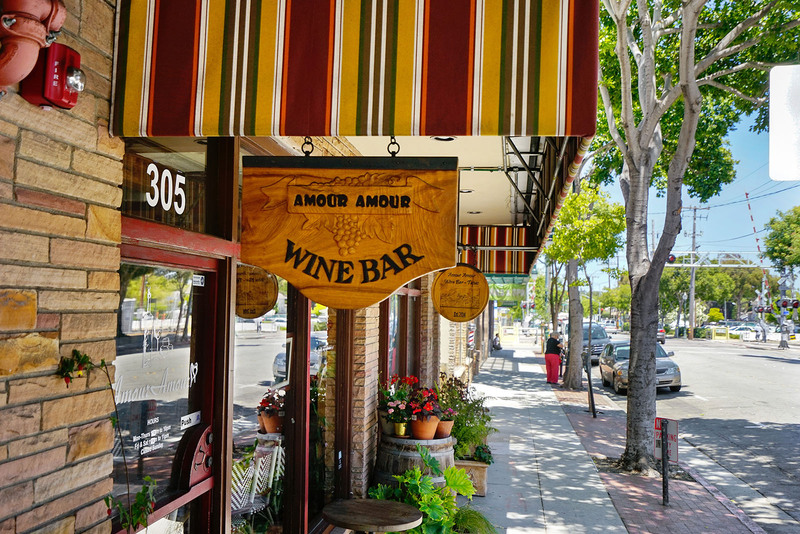 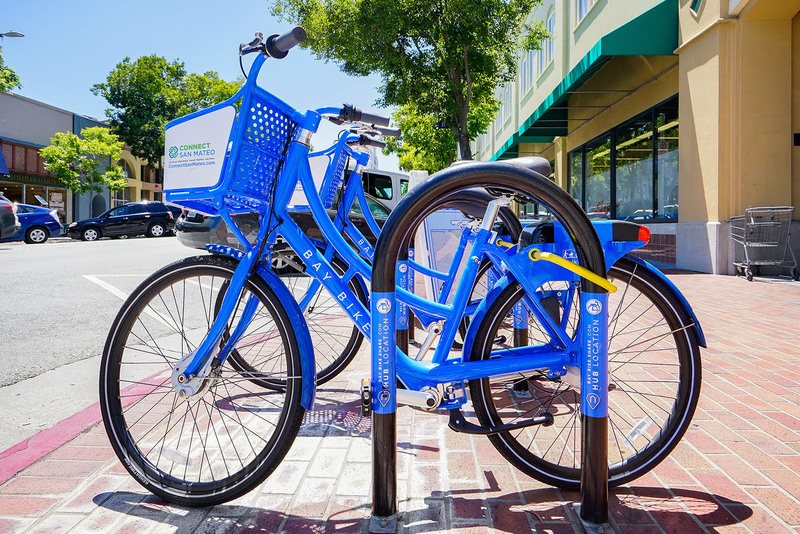 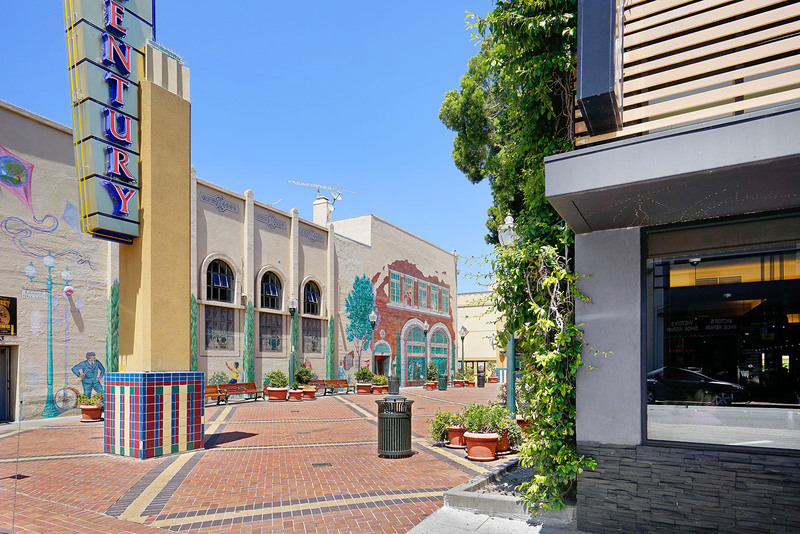 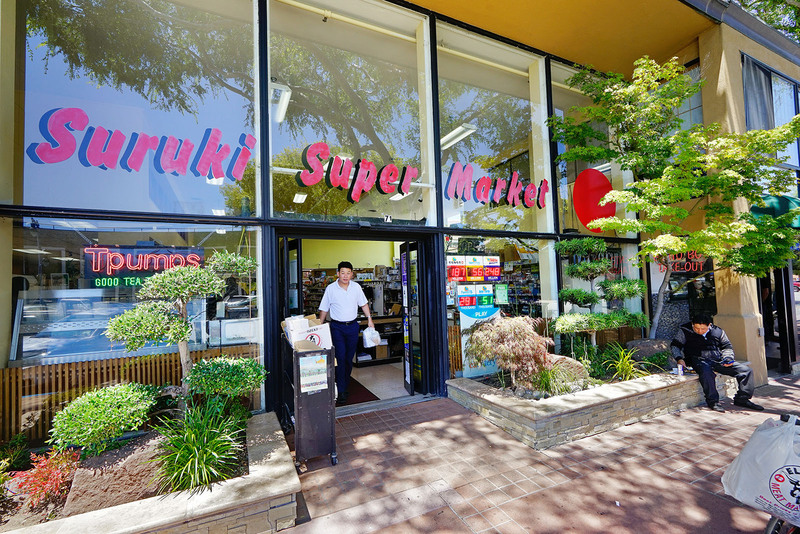 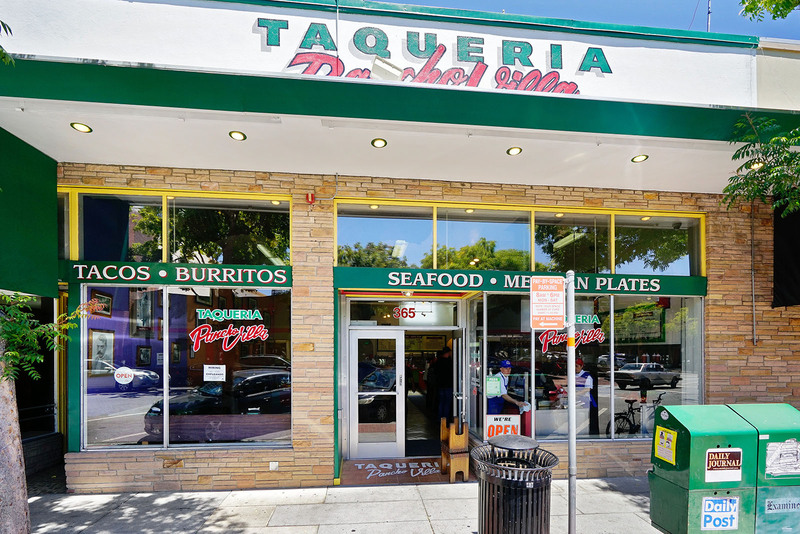 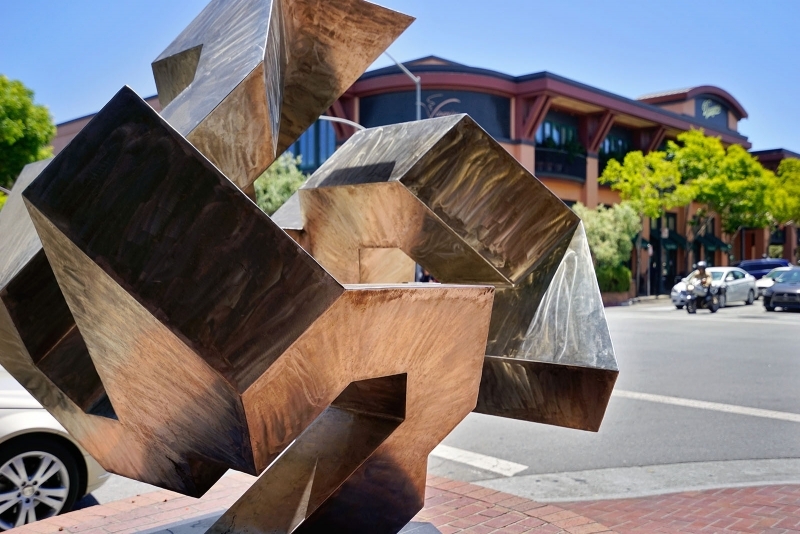 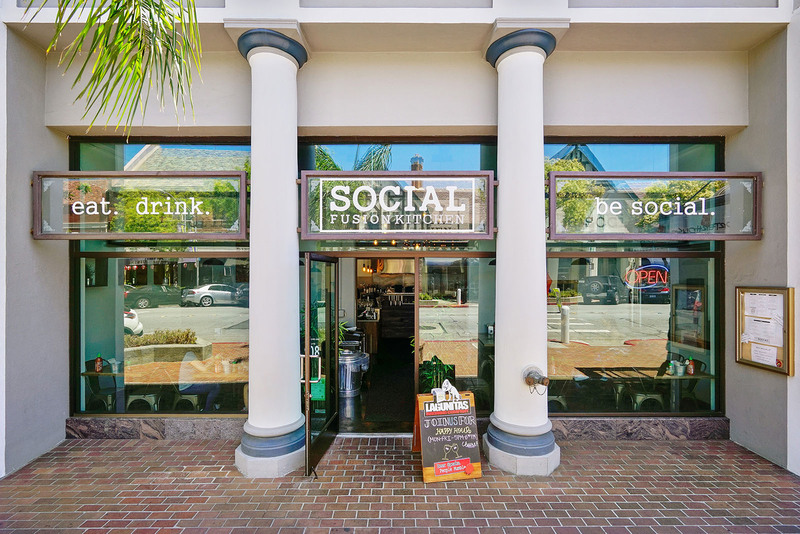 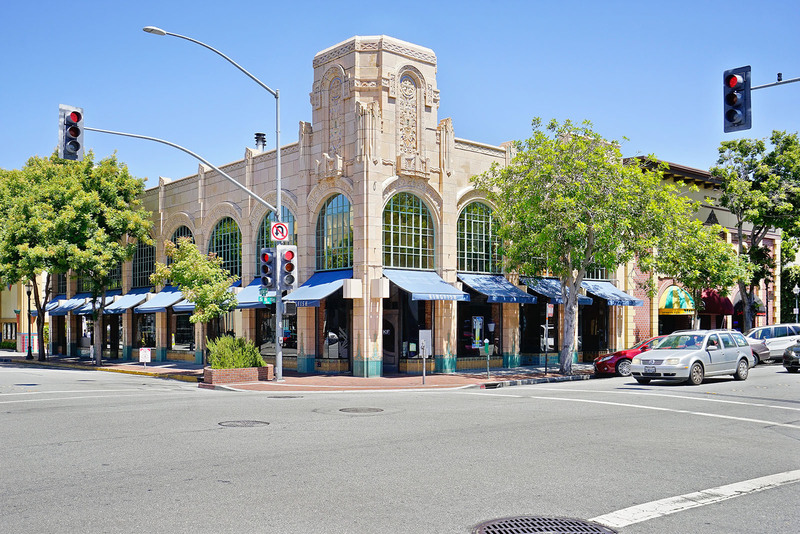 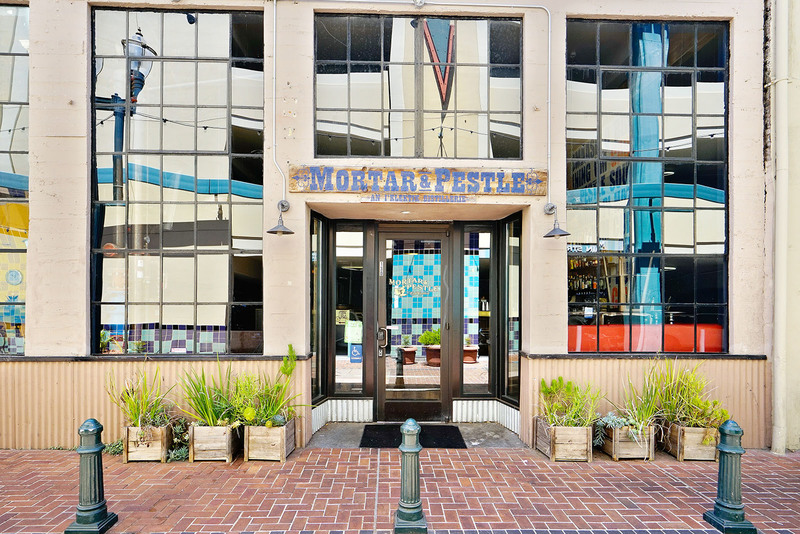 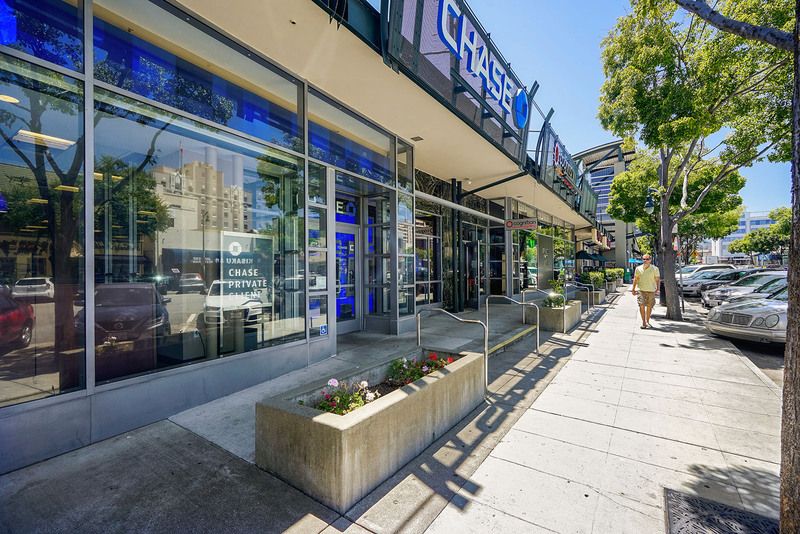 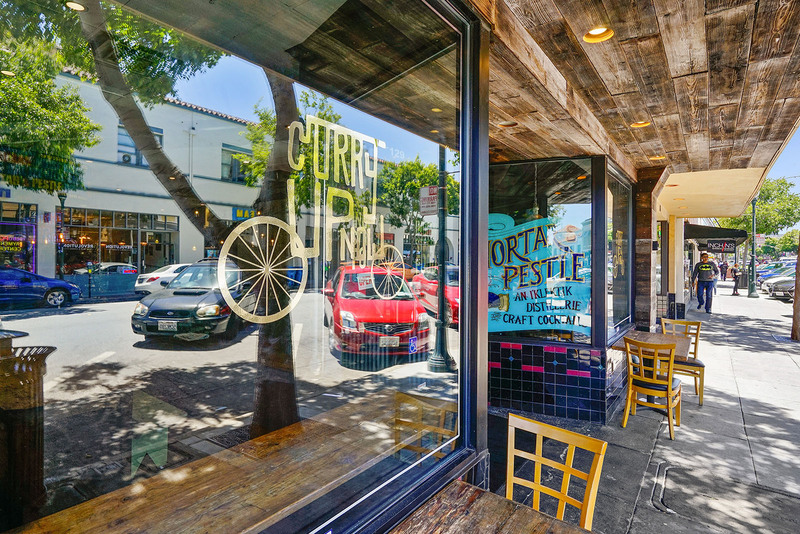 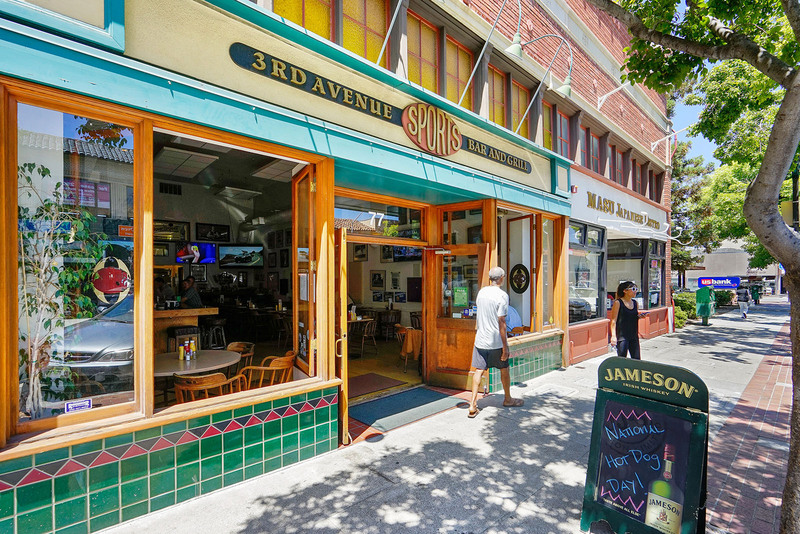 One of the largest cities on the San Francisco Peninsula, San Mateo boasts many options for recreation as well as a vibrant downtown, with a large movie theater, bustling restaurants, eateries, coffee shops and boutiques. 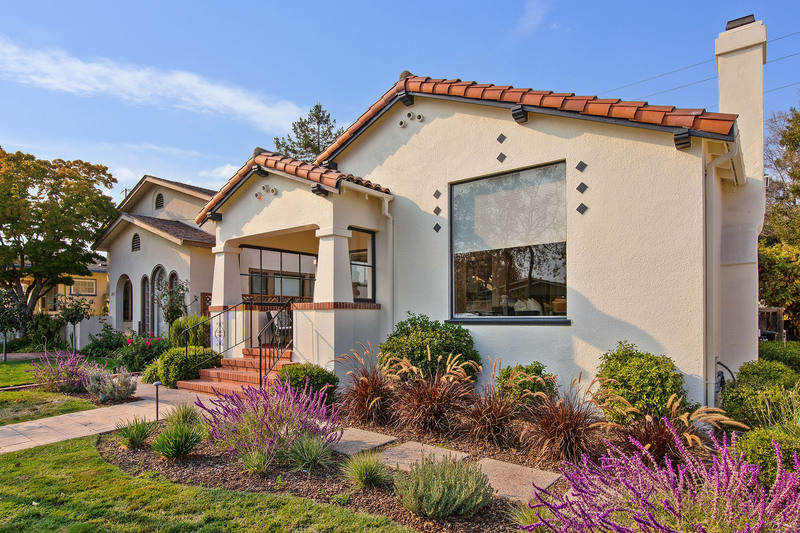 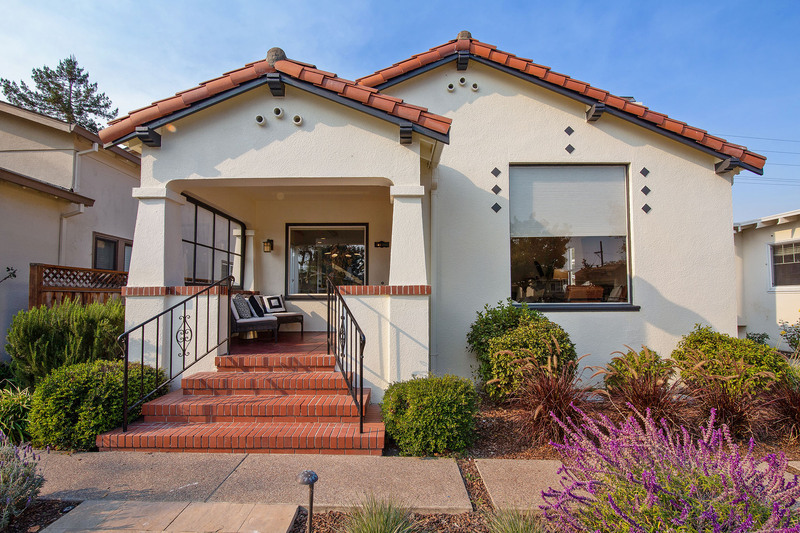 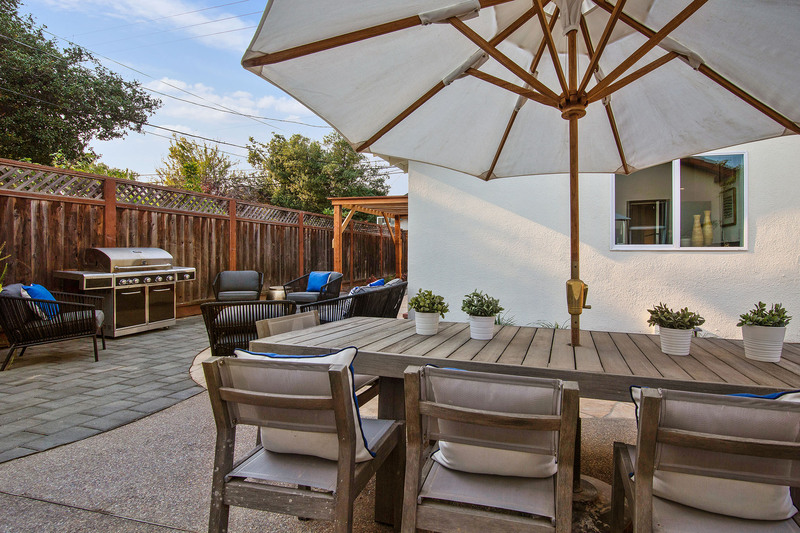 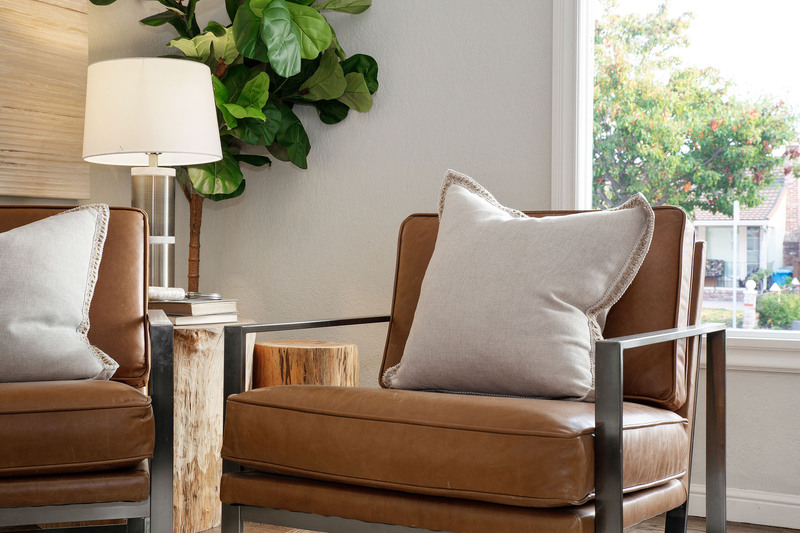 Centrally located on the San Francisco and mid-point to San Francisco and the South Bay, San Mateo is an ideal central location for those who have family members working north or south of the Peninsula. 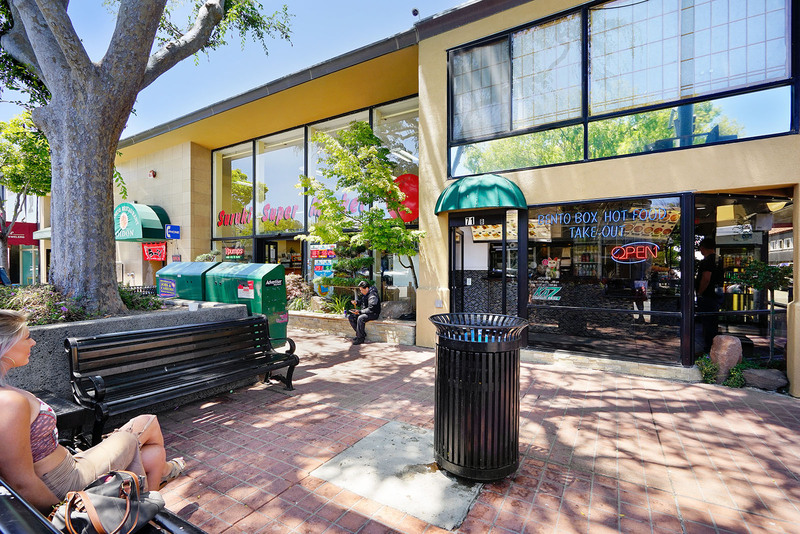 Spanish explorers first came to present-day San Mateo on a 1776 scouting trip and named the creek they slept beside San Mateo Creek. 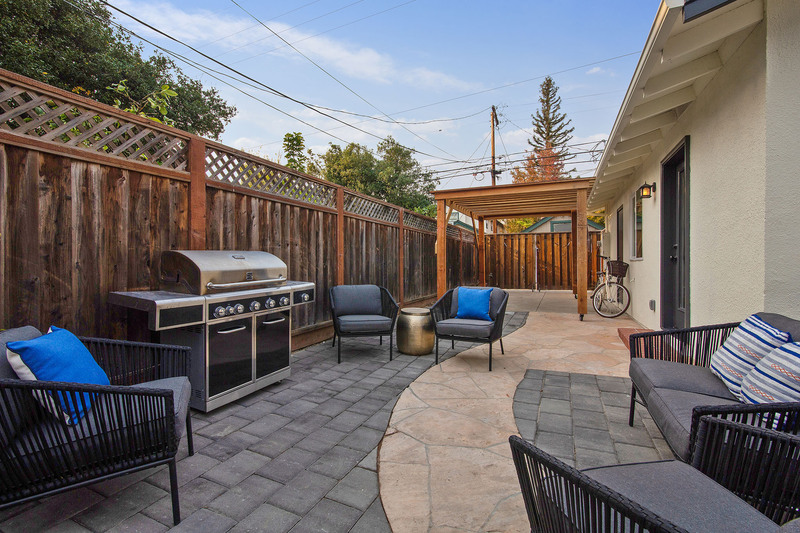 In 1863, the railroad arrived in San Mateo, leading some wealthy San Franciscans to build summer and weekend homes in the area. 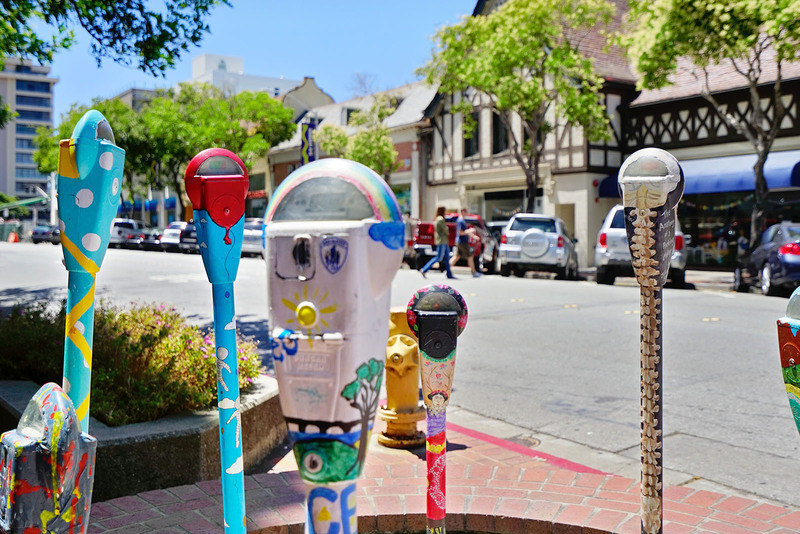 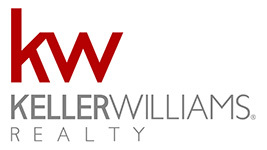 Today, approximately 100,000 people call the city home. 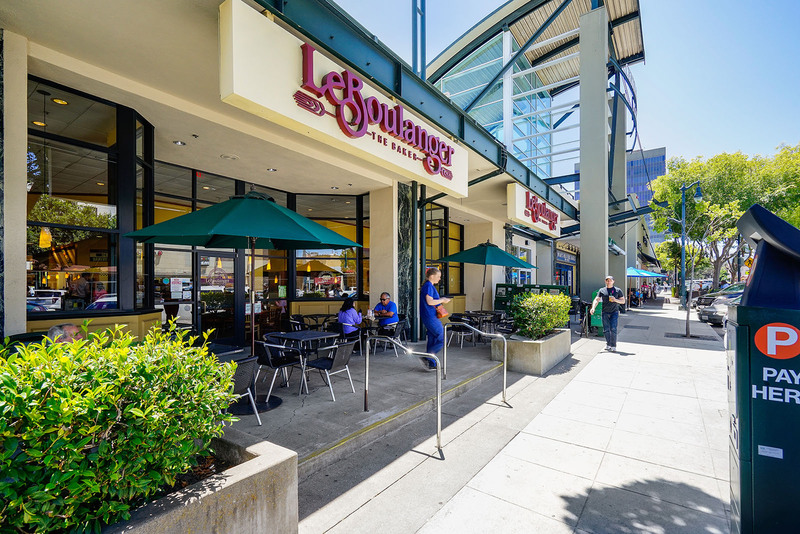 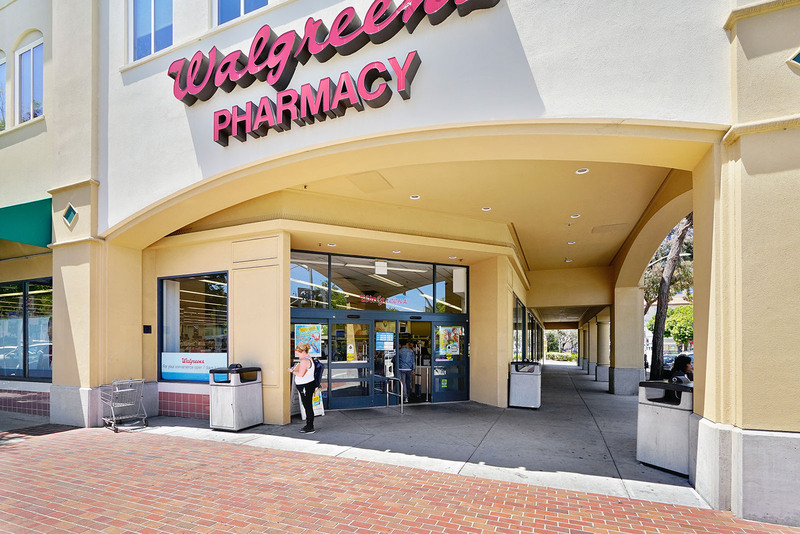 The city is home to the Hillsdale Shopping Center and a number of parks -- including Laurelwood Park, Central Park and the Coyote Point Recreation Area. 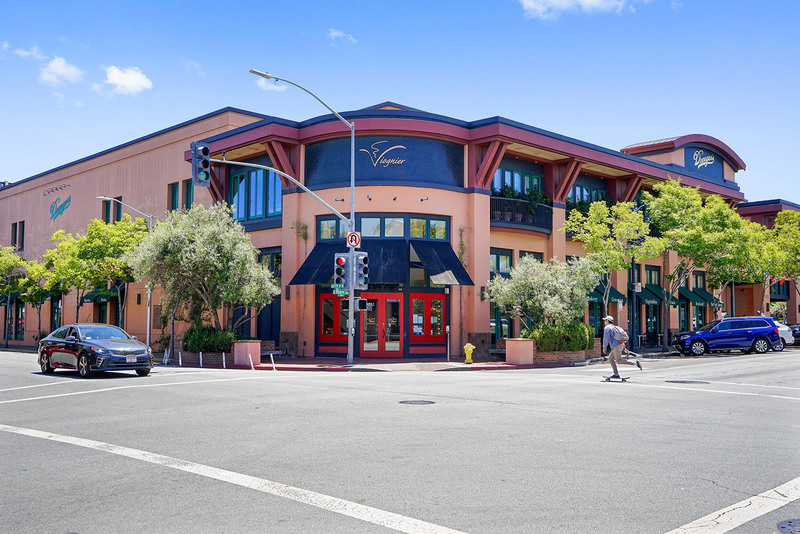 The CuriOdyssey museum at Coyote Point offers science and wildlife exhibits for children and adults, some of which feature live animals. 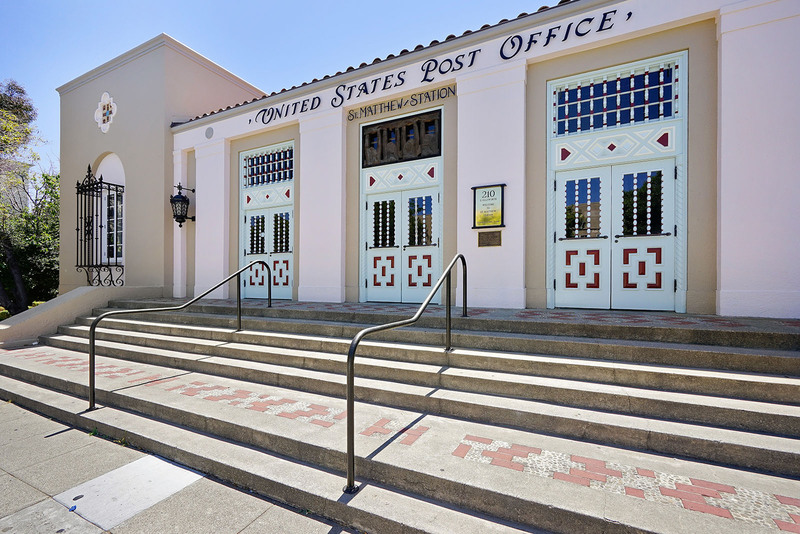 For a breathtakingly beautiful jog, hike, or bicycling outing, locals head to the Sawyer Camp Trail at the Crystal Springs Reservoir.